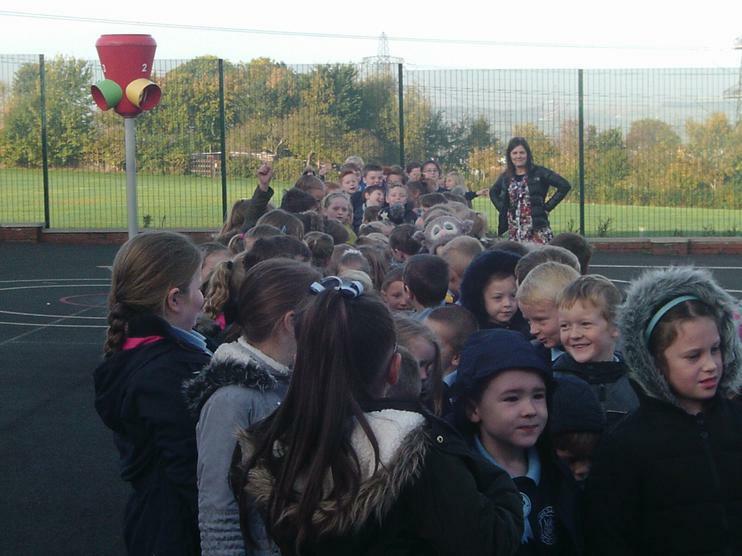 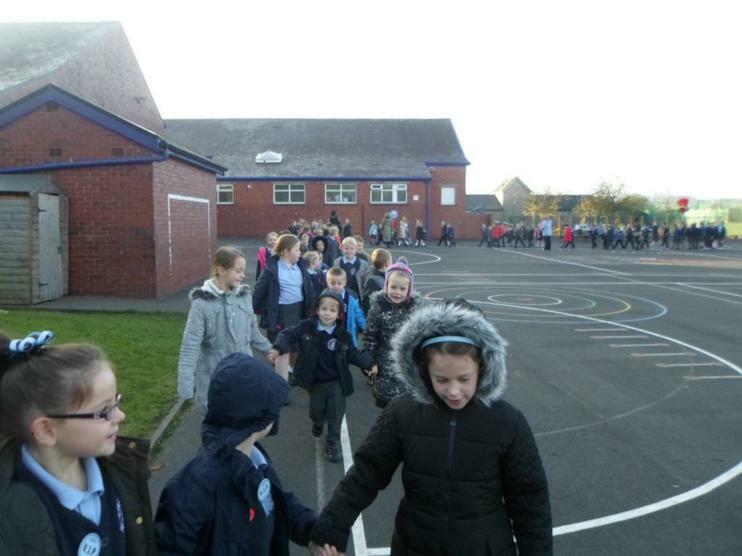 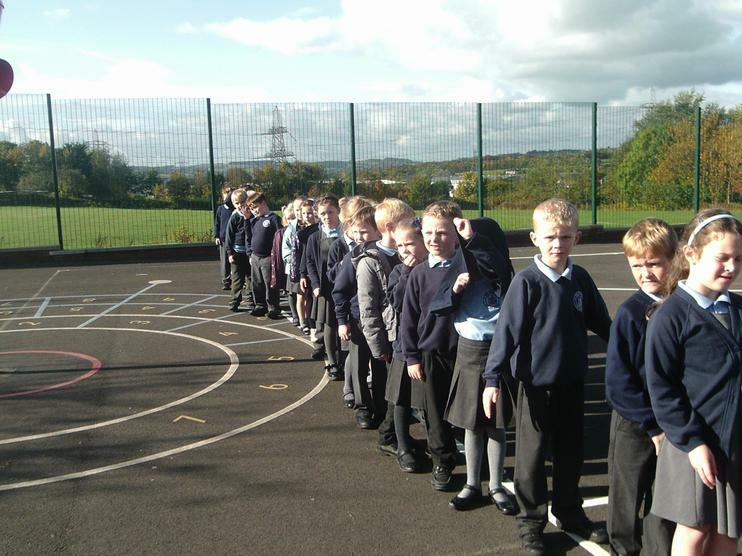 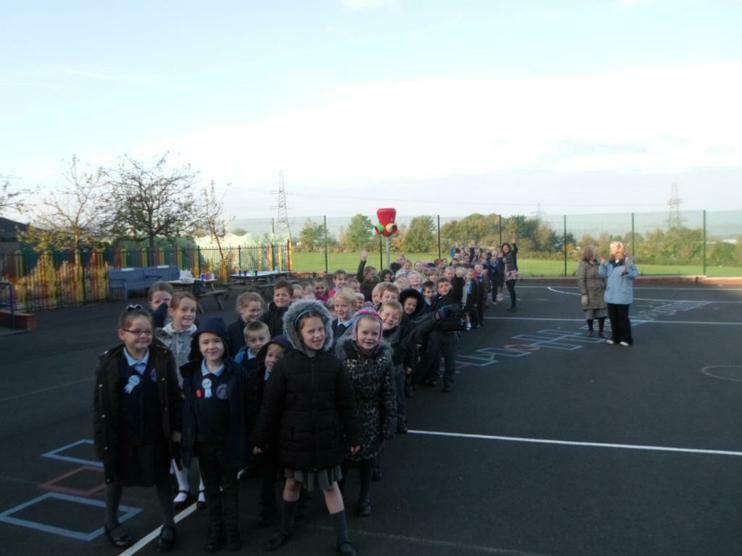 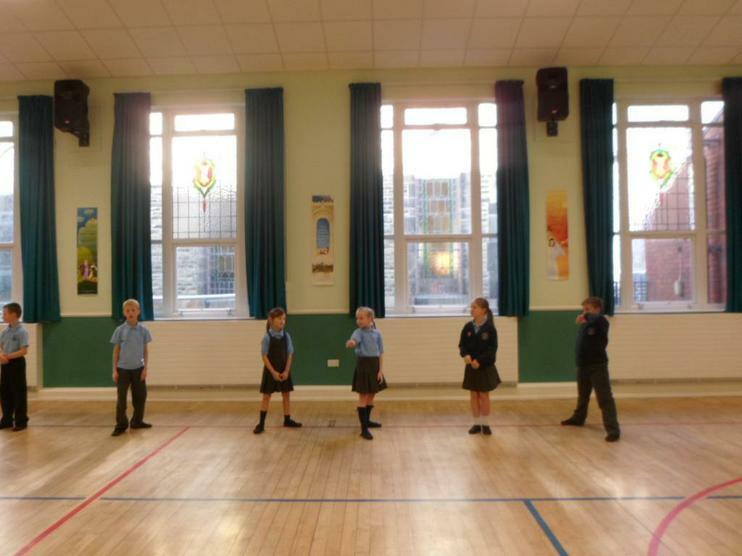 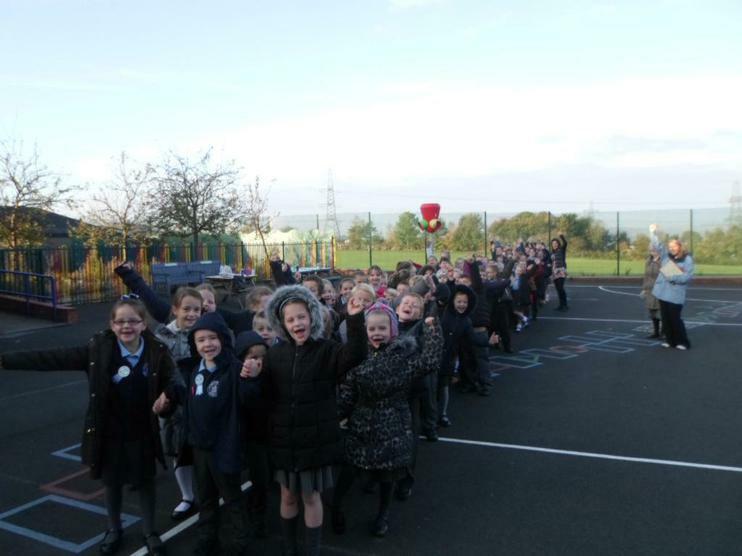 The whole school are aiming to complete a challenge of walking the distance from John O'Groats to Lands End. 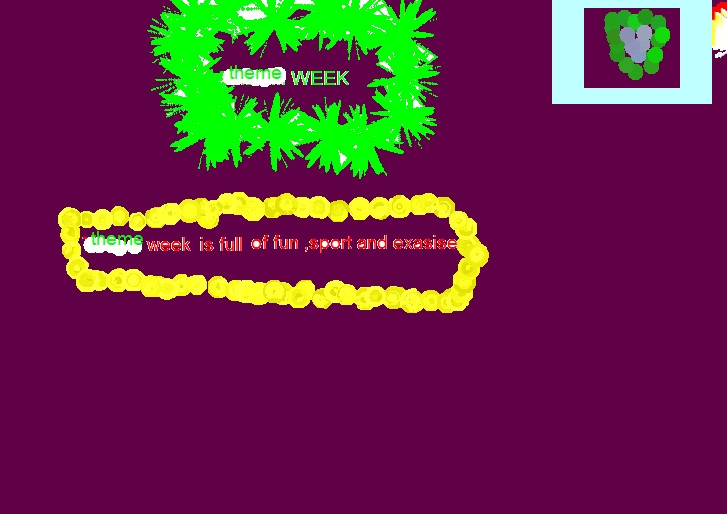 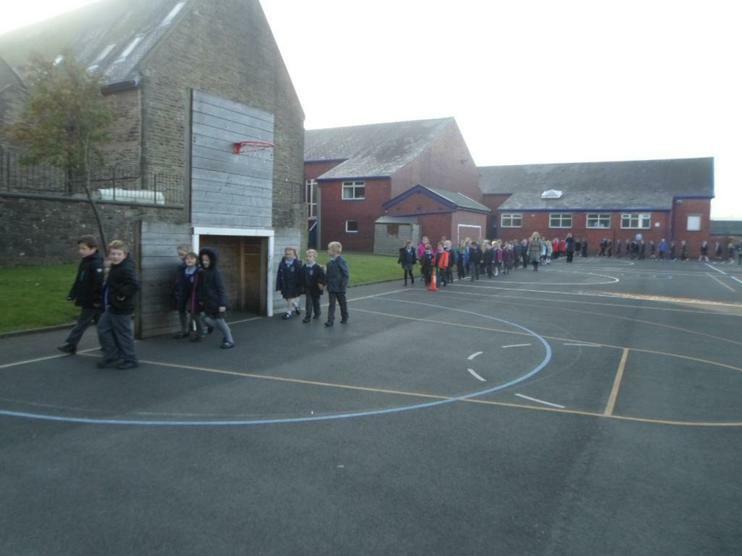 This is a huge task but one the whole school is excited about. 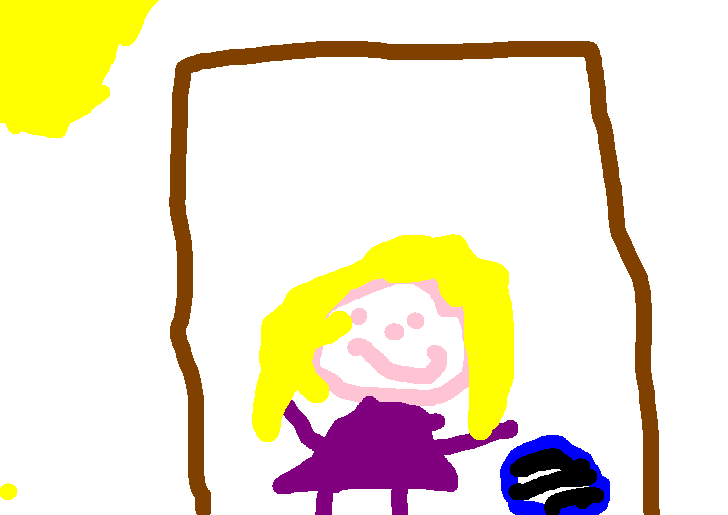 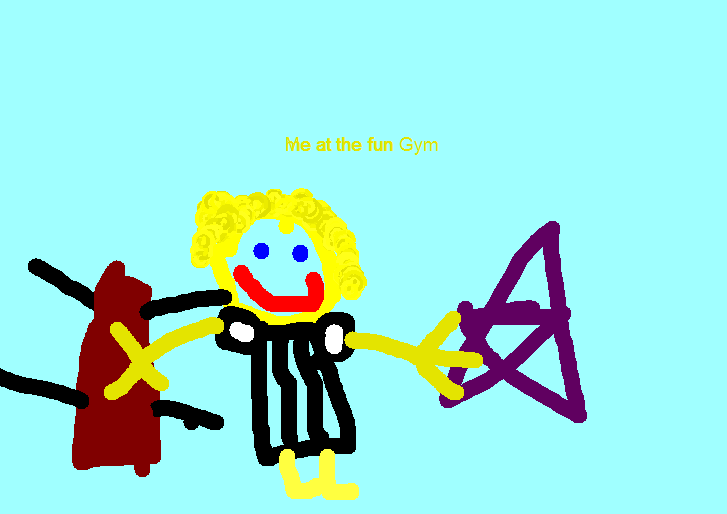 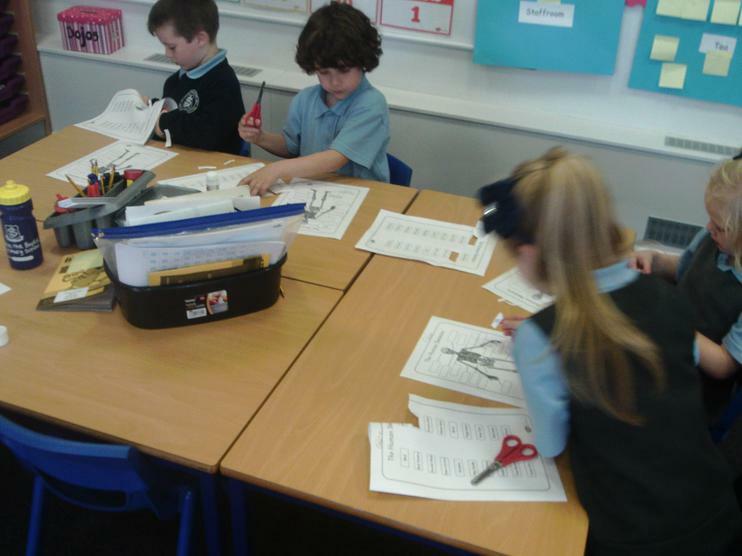 Mrs McKeating has promised the children a treat on Thursday if the task is completed. 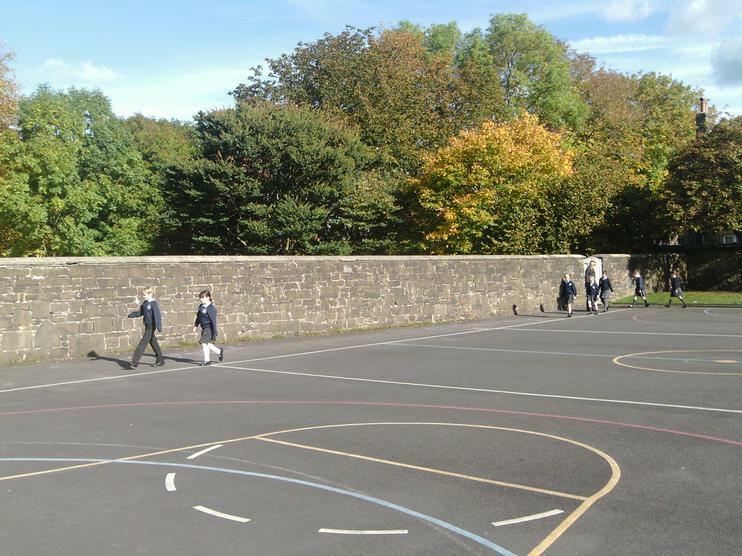 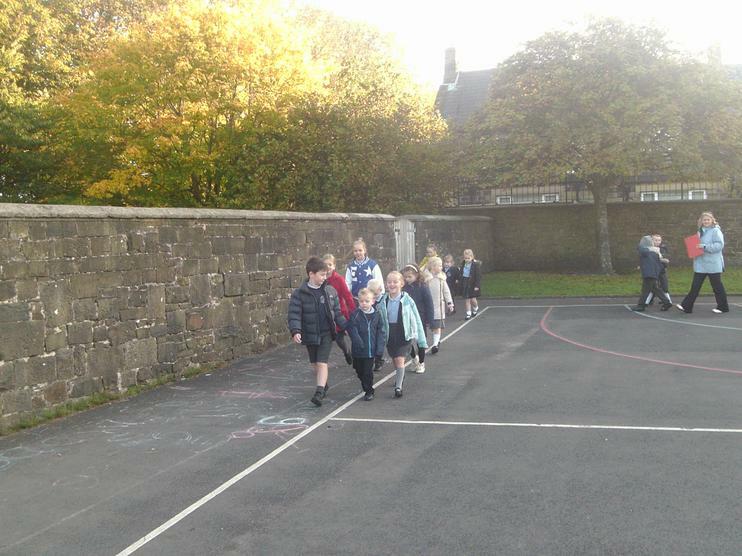 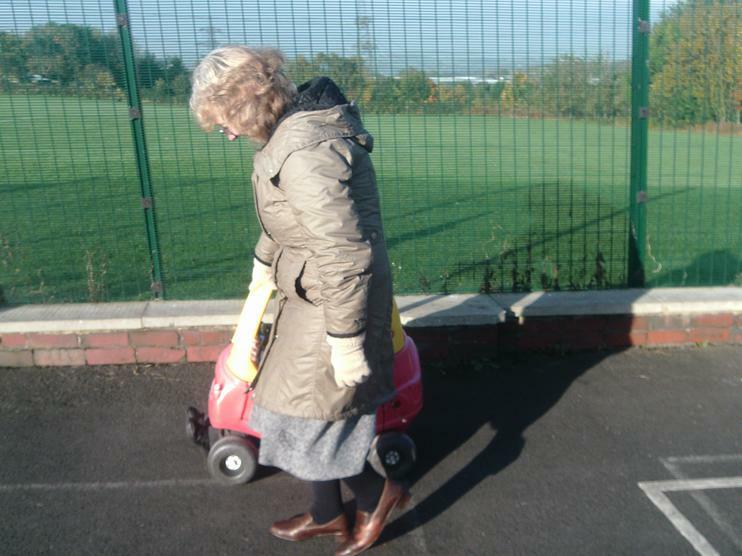 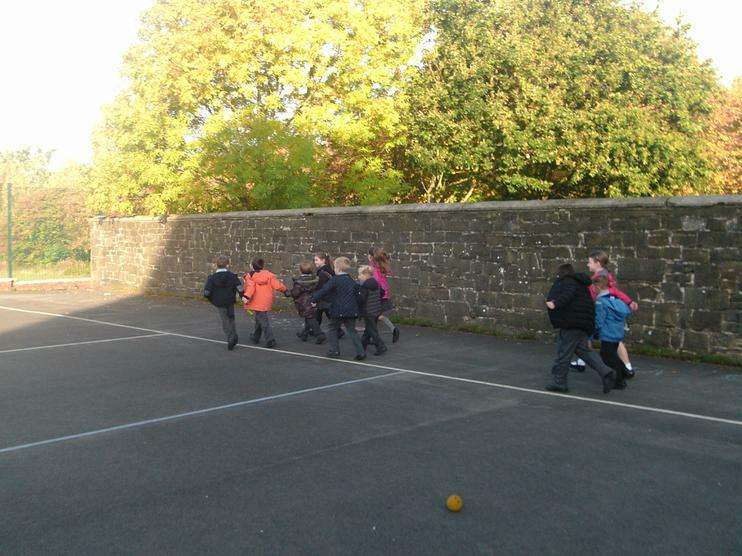 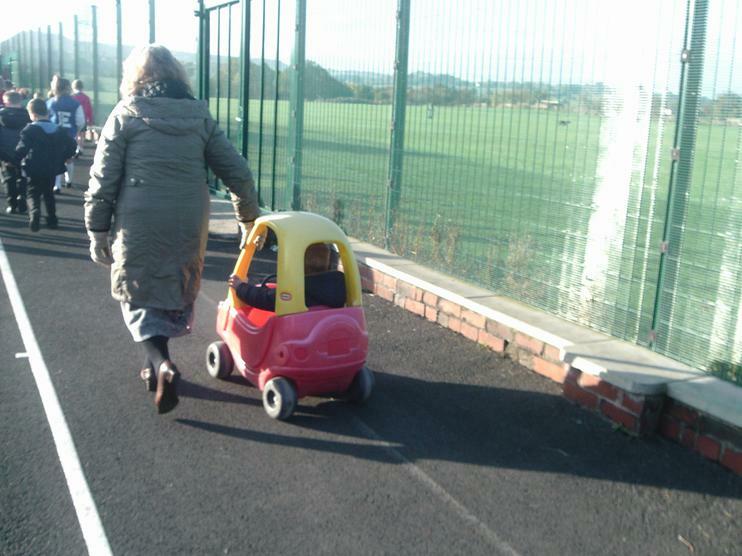 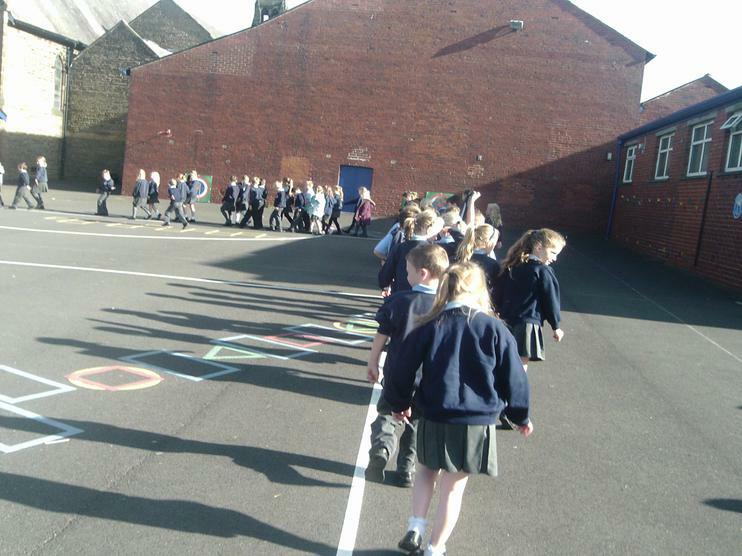 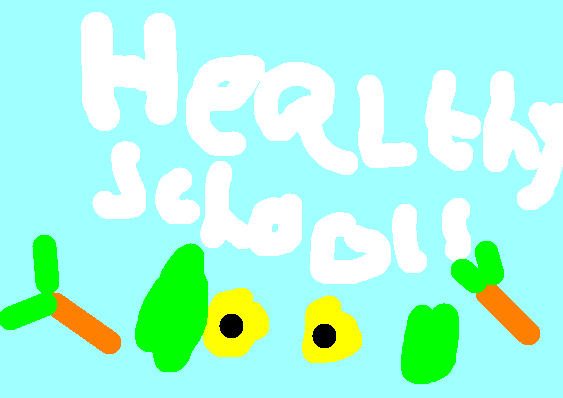 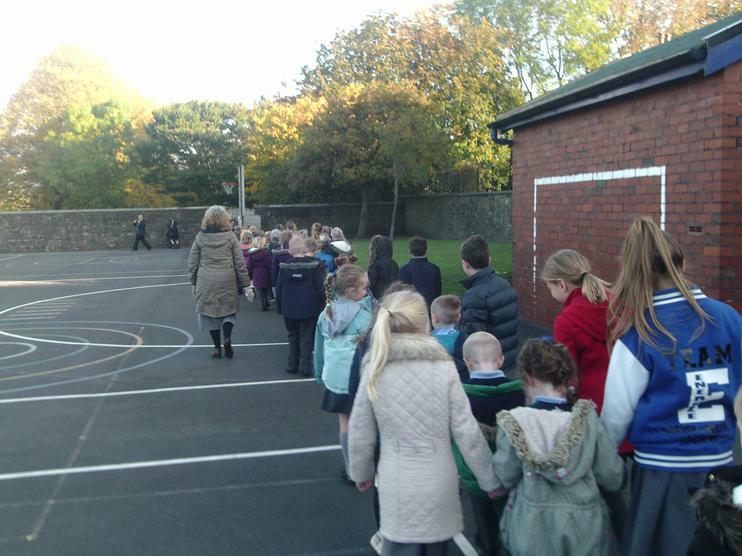 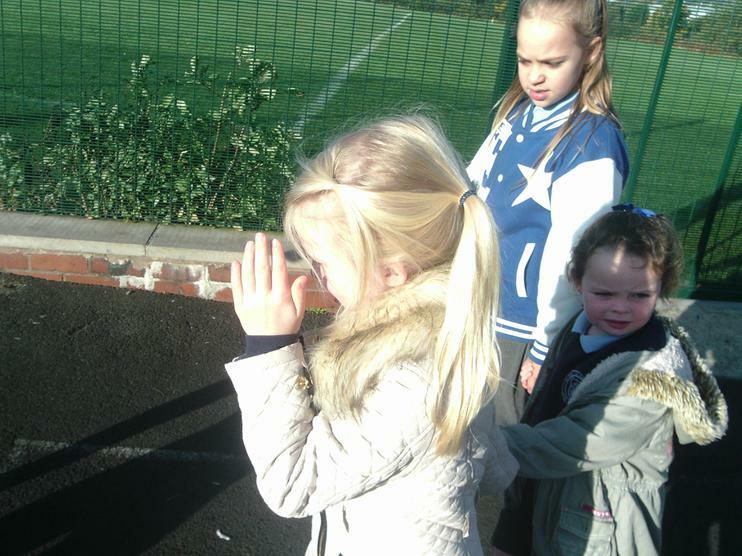 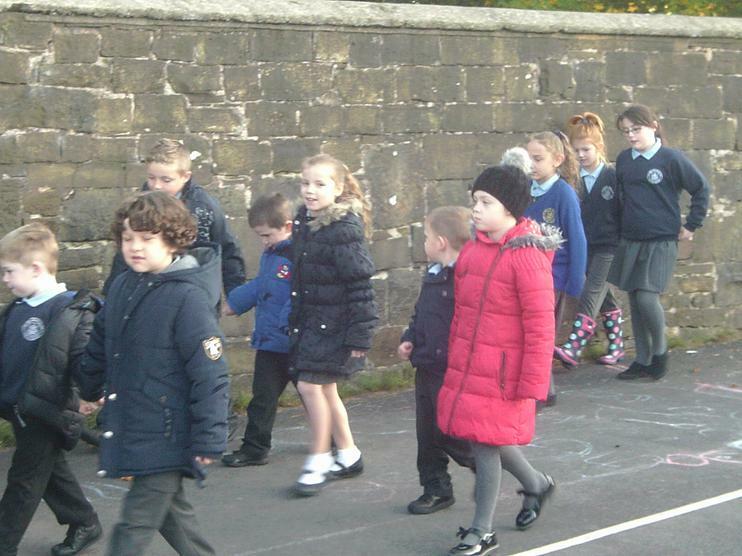 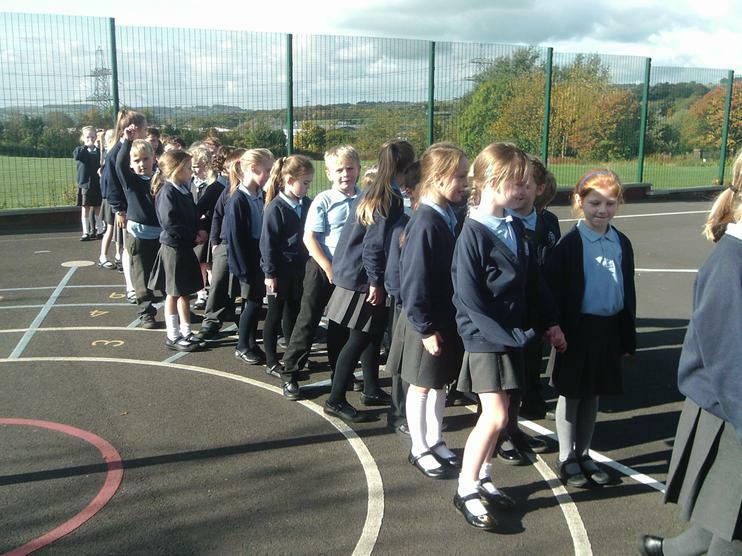 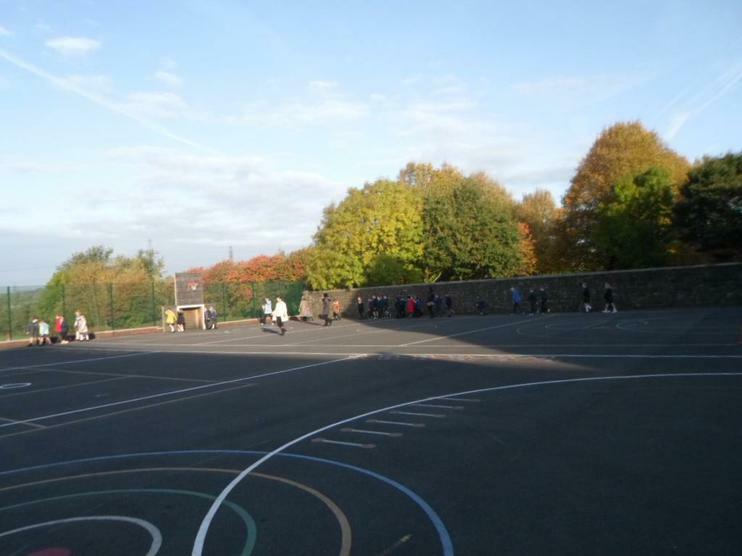 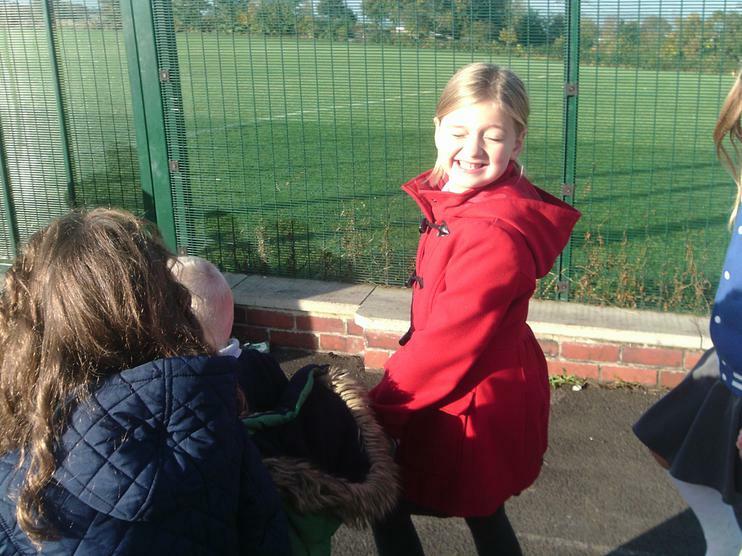 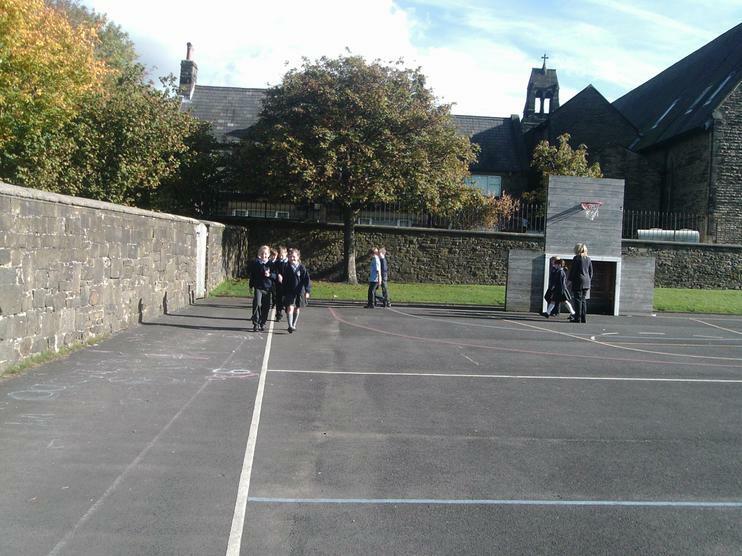 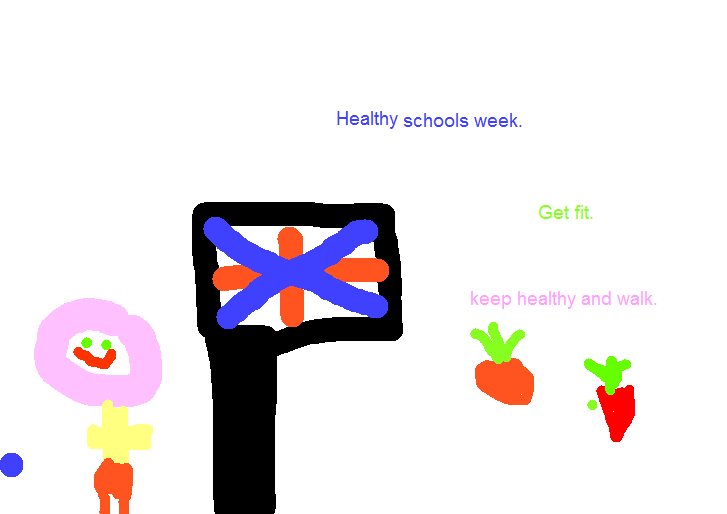 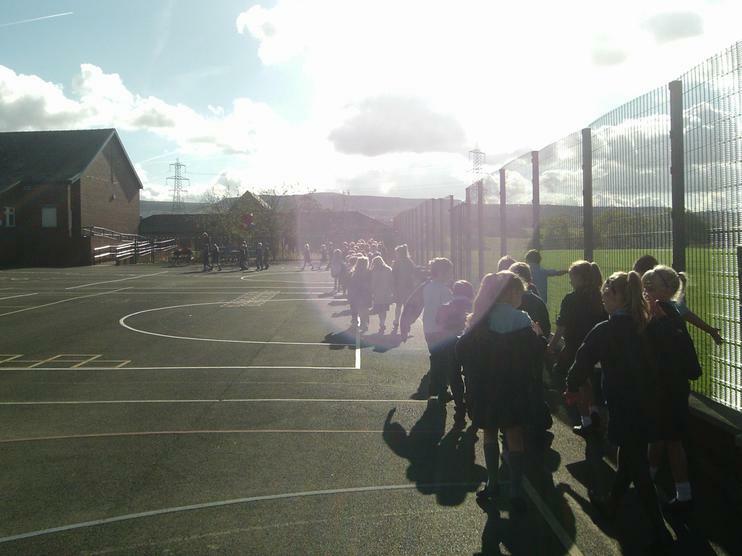 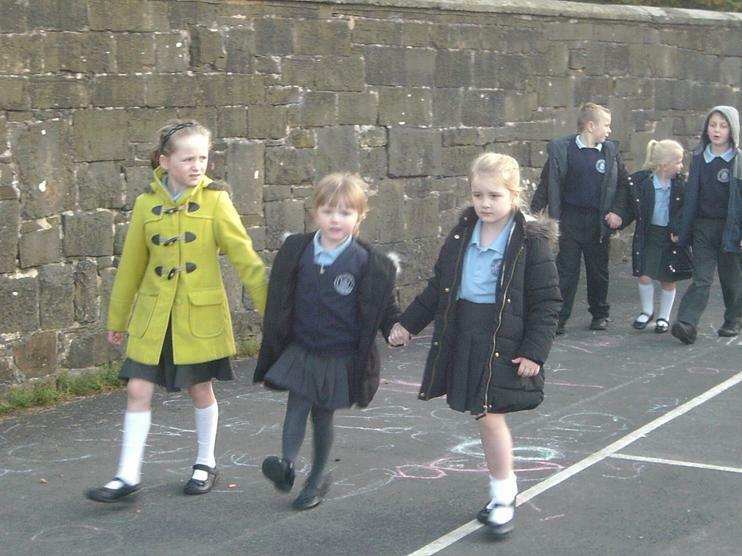 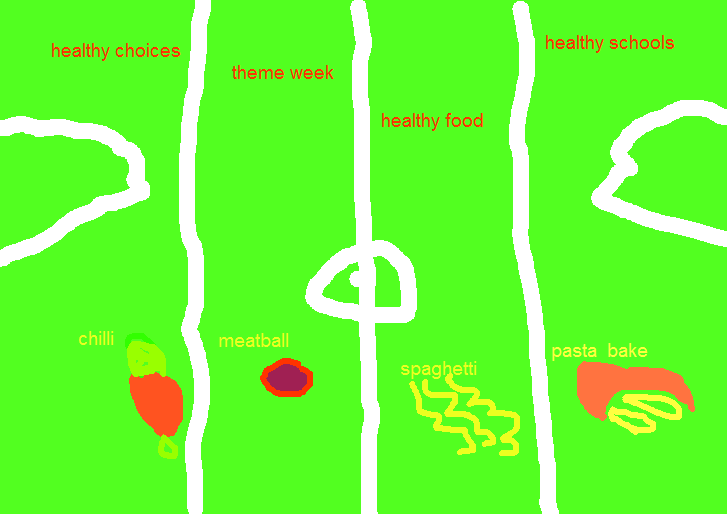 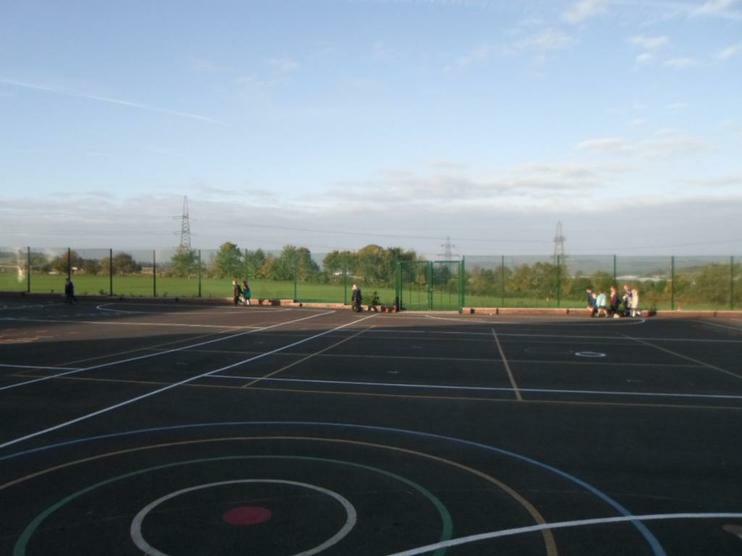 Some children are walking on the Fenney Fold and others around the school yard. 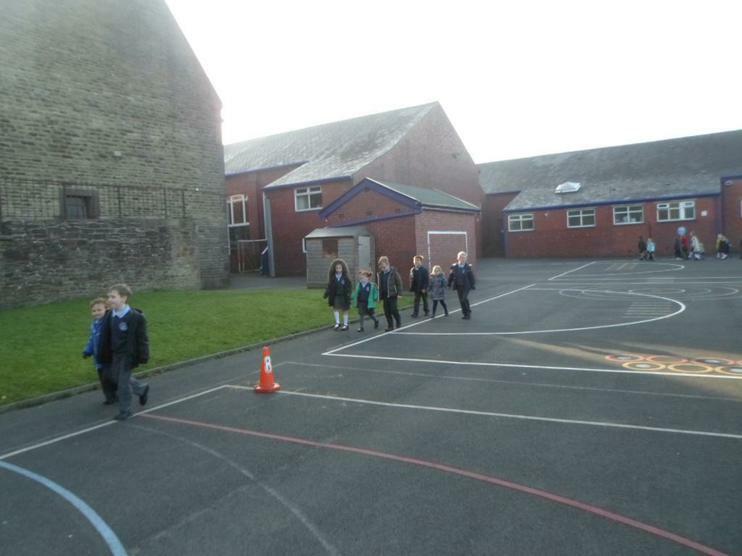 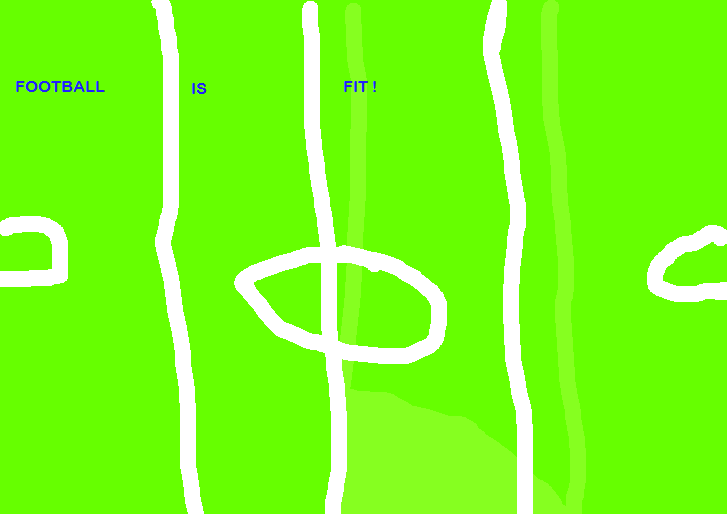 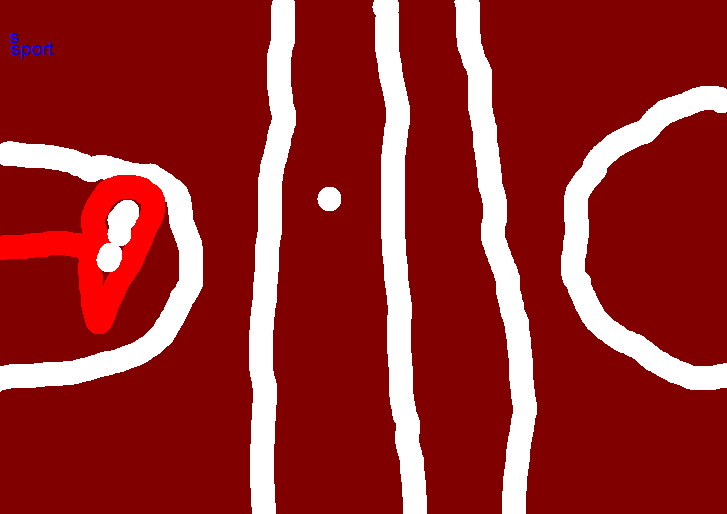 All routes have been measured out very carefully. 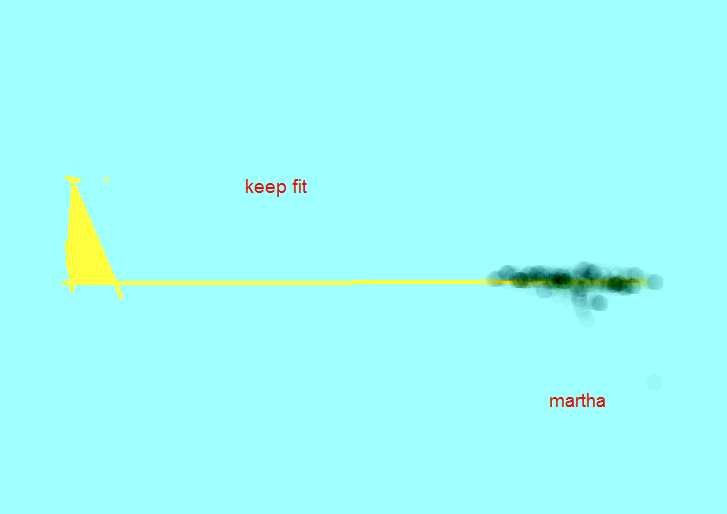 273 km! 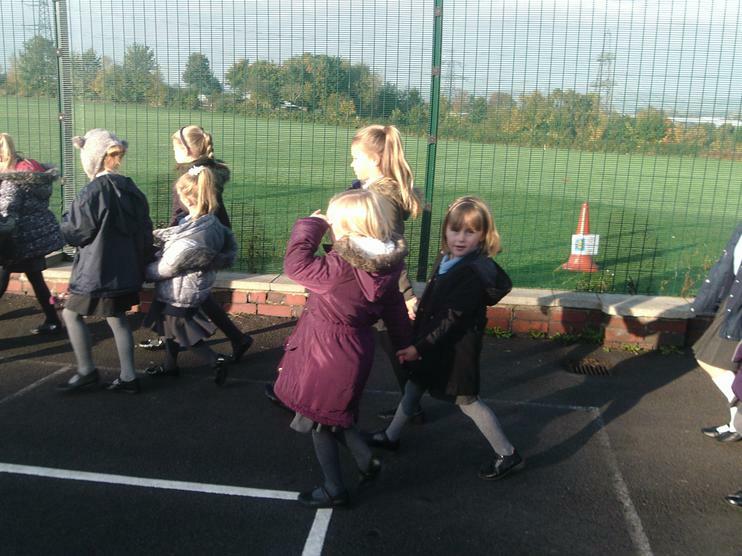 There are lots of tired legs this morning! 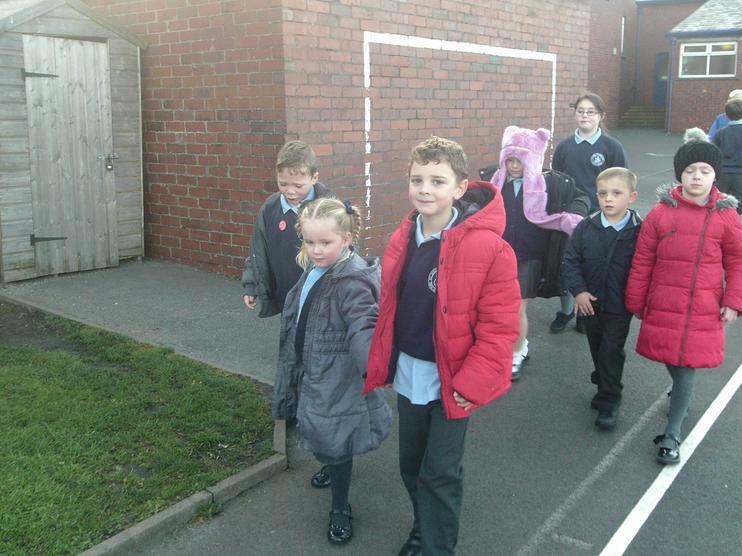 Well done to some our youngest children. 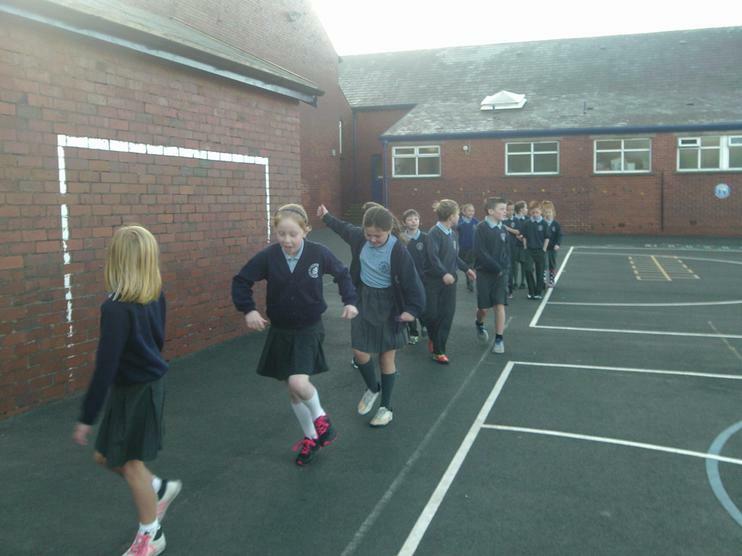 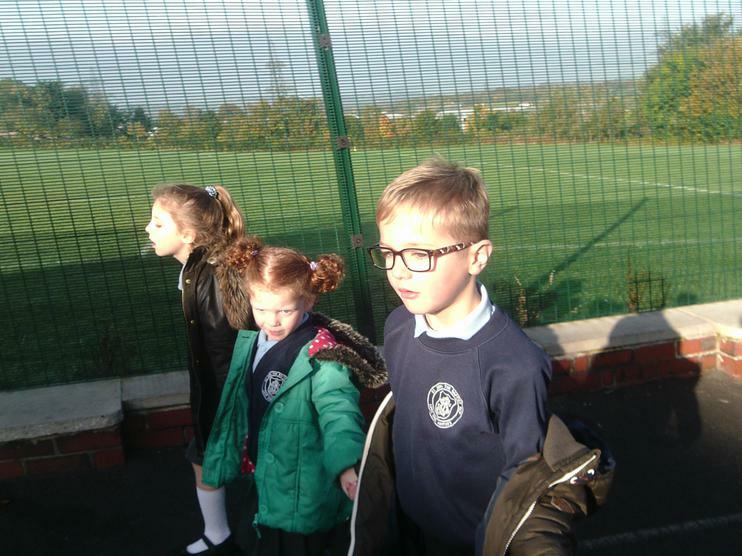 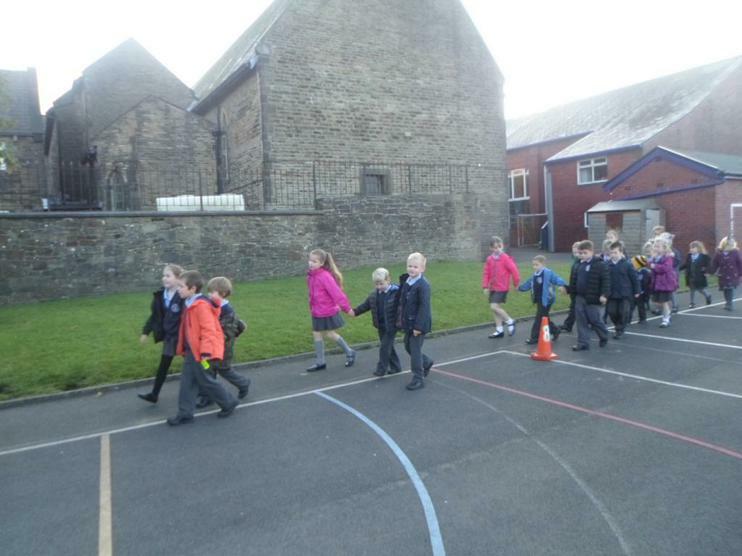 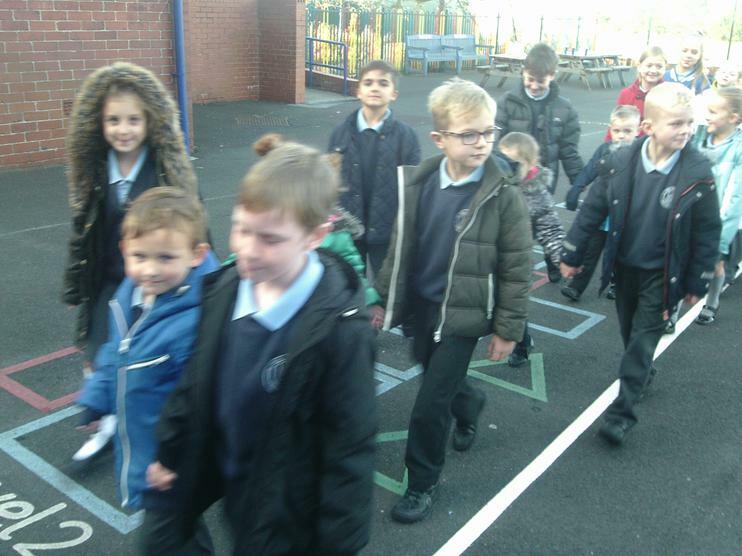 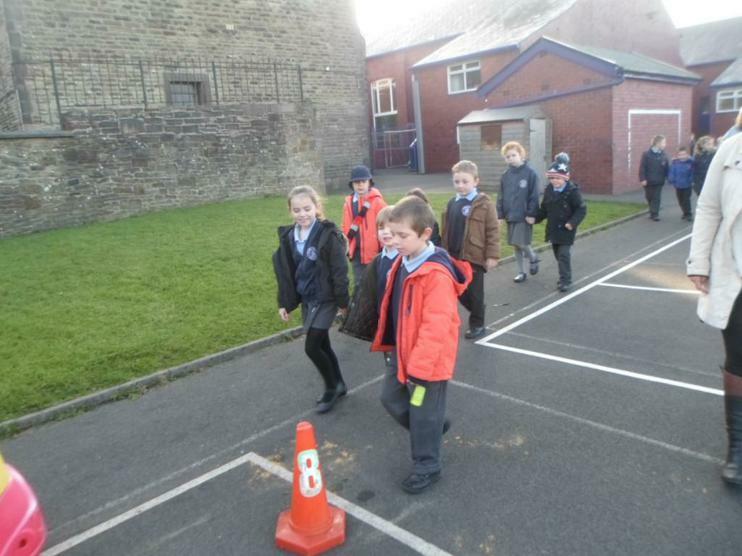 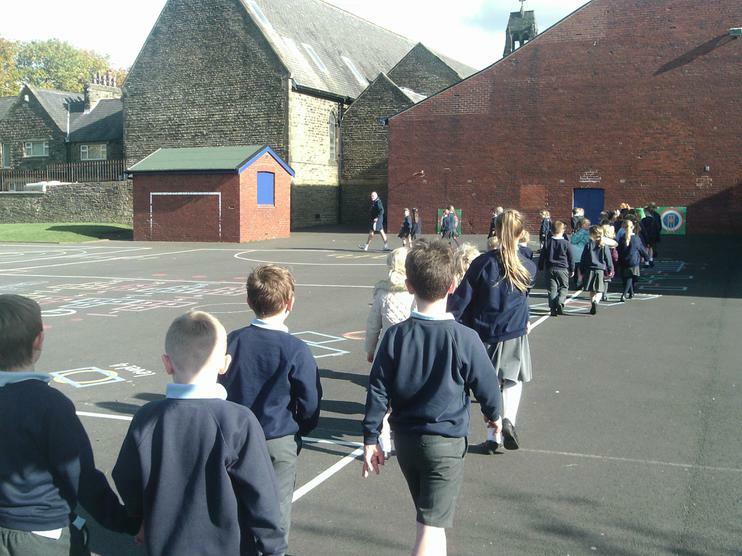 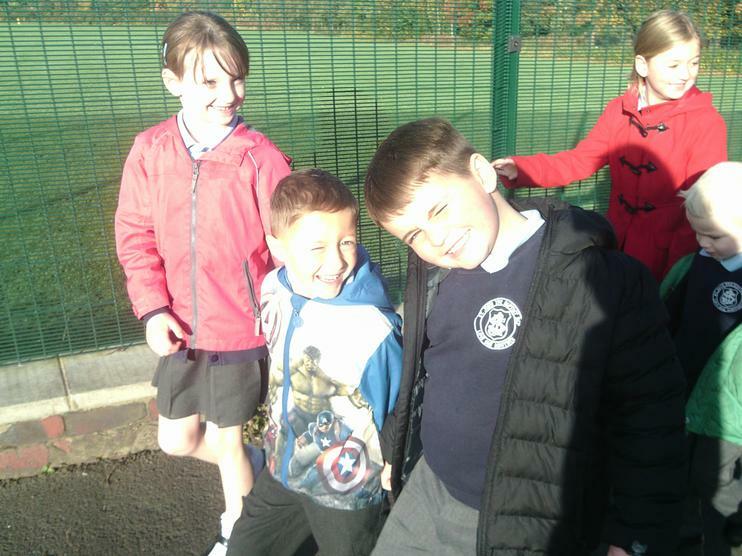 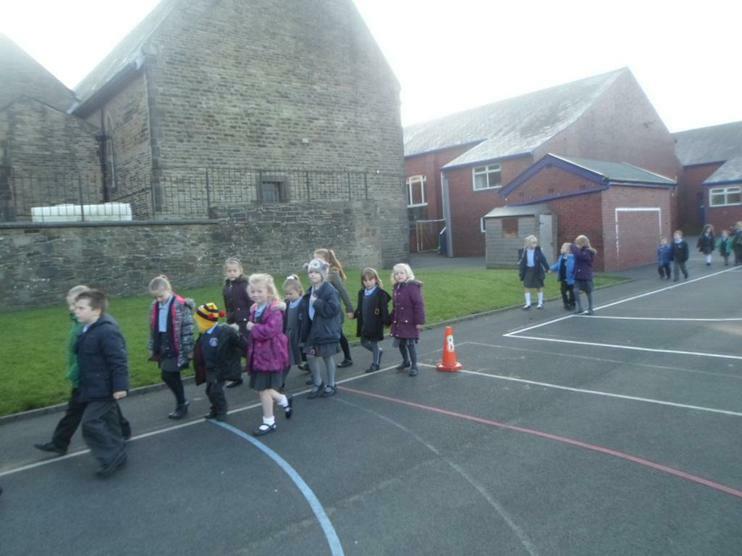 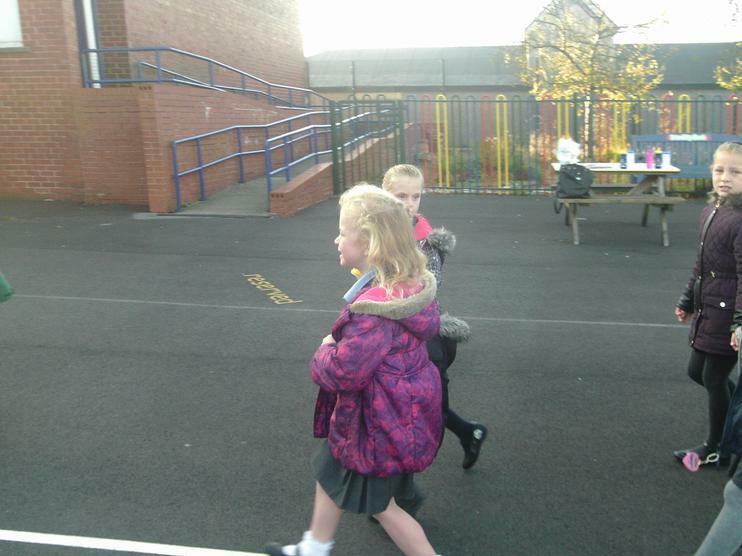 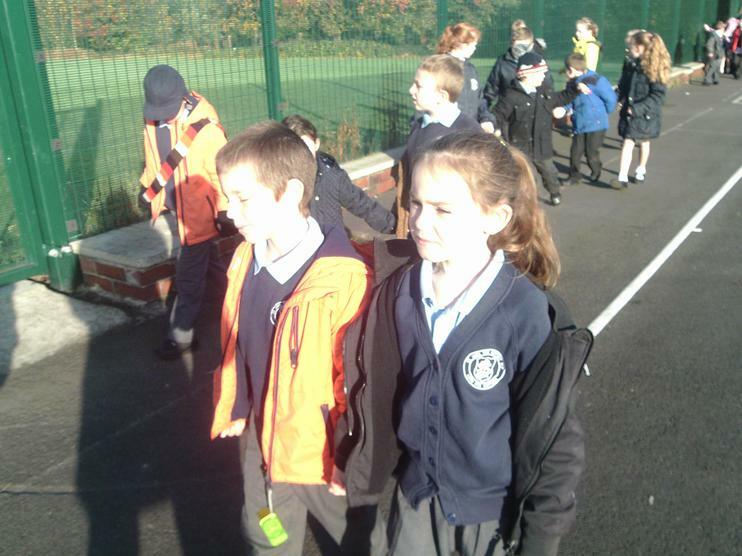 After more laps in the afternoon, Year 2 have now walked 172.5 km! 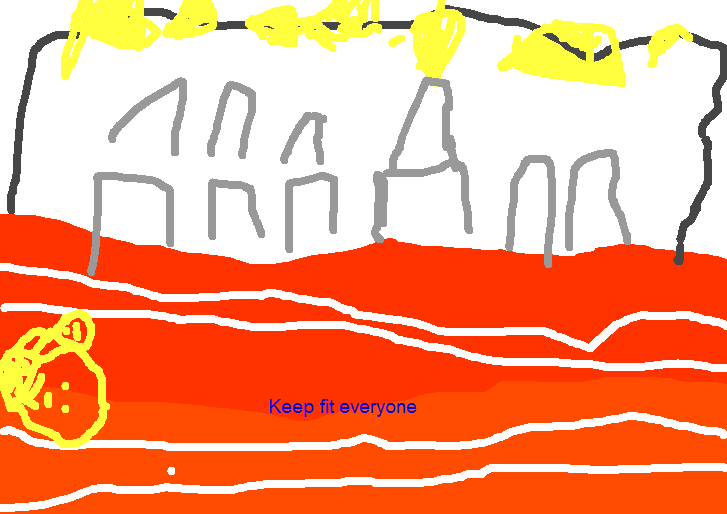 That's 5.75 km each. 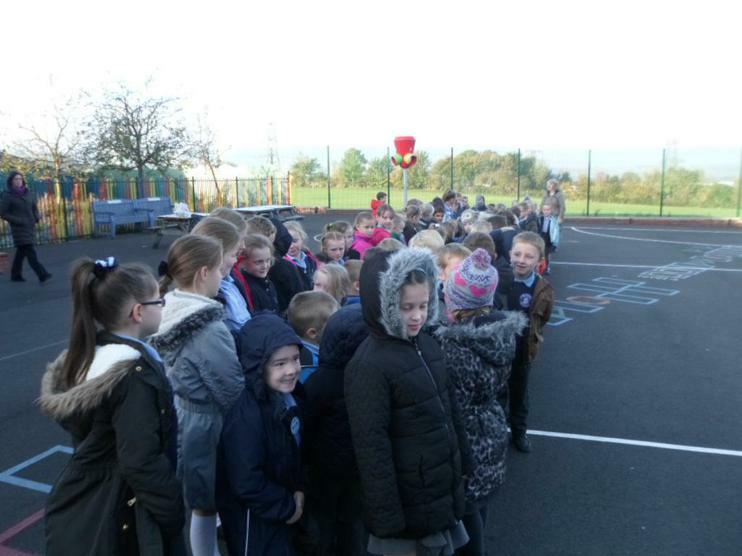 They should all sleep tonight! 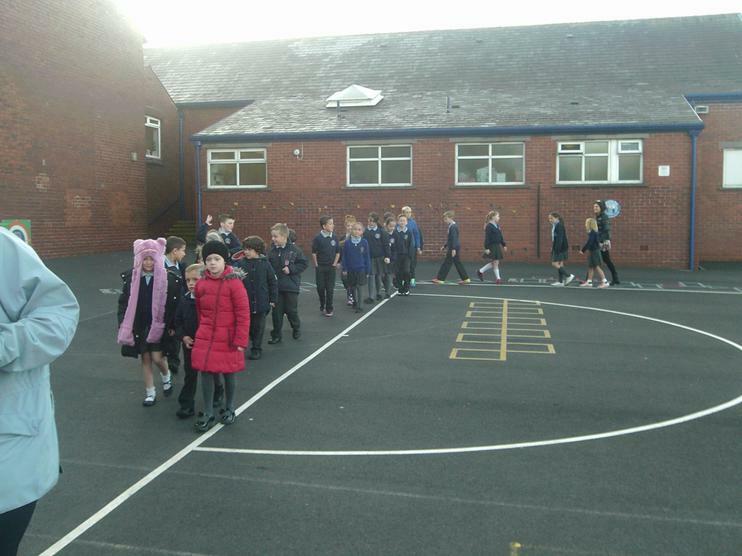 Day One - The first few laps have begun! 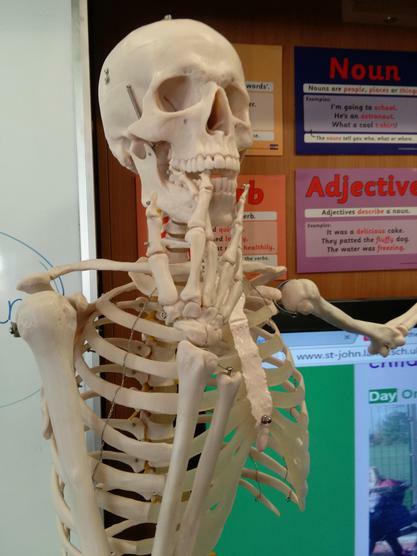 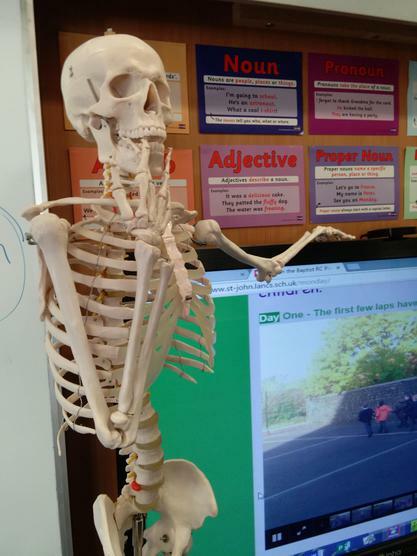 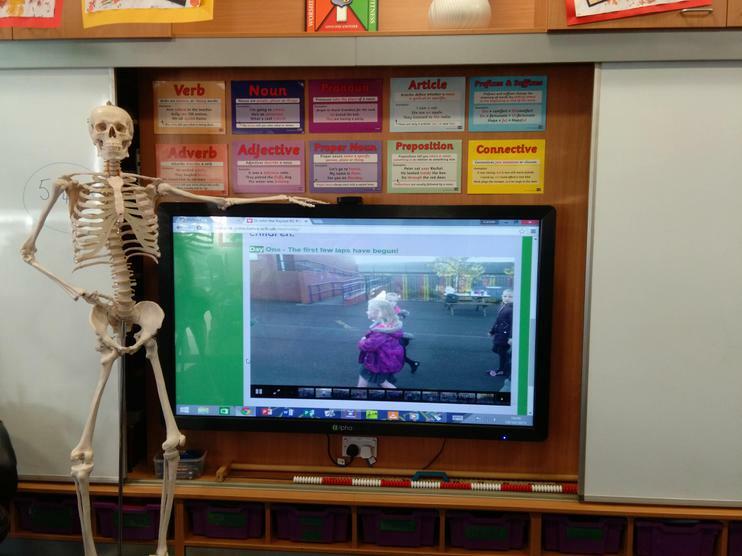 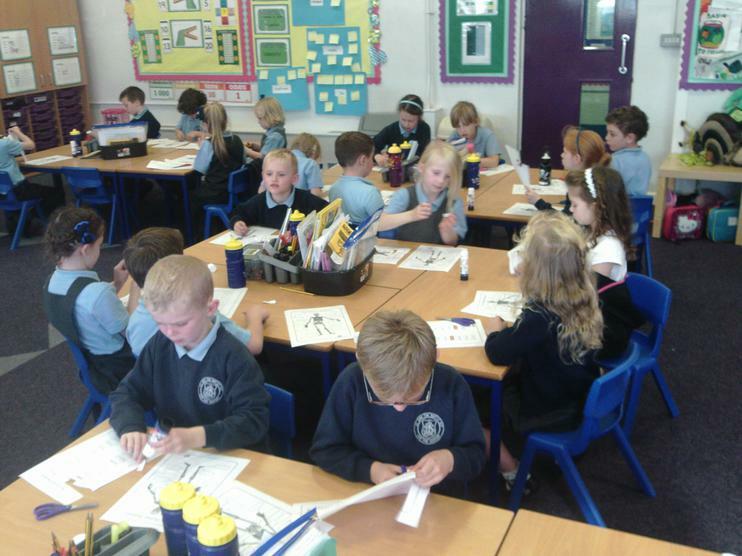 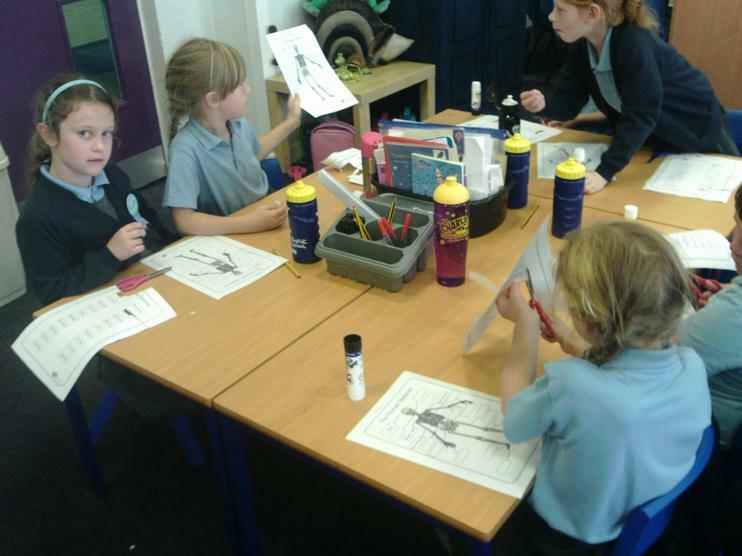 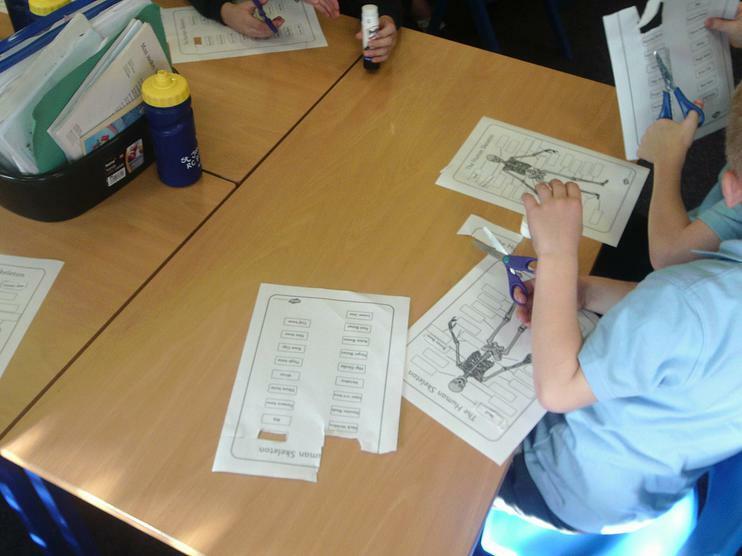 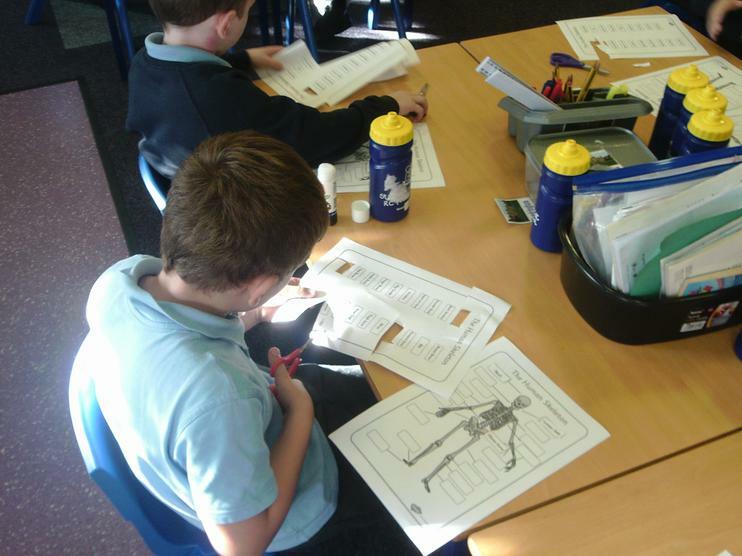 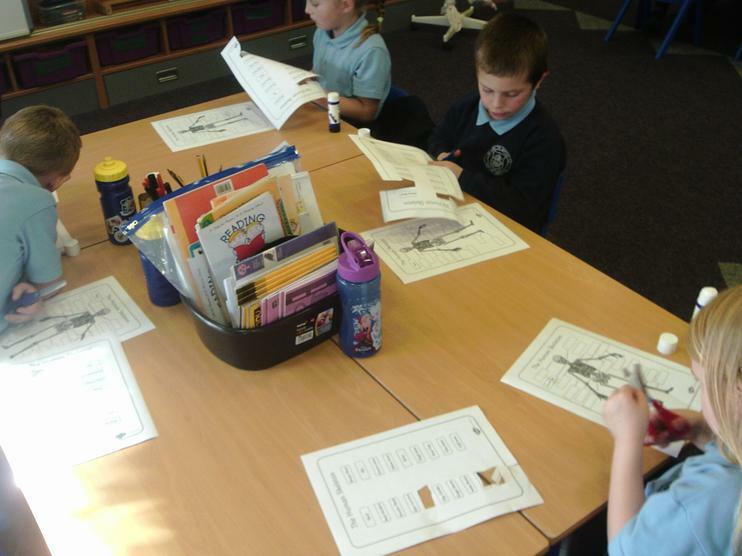 This afternoon, Year 2 have been looking at our skeletons and what we would be like if we didn't have one. 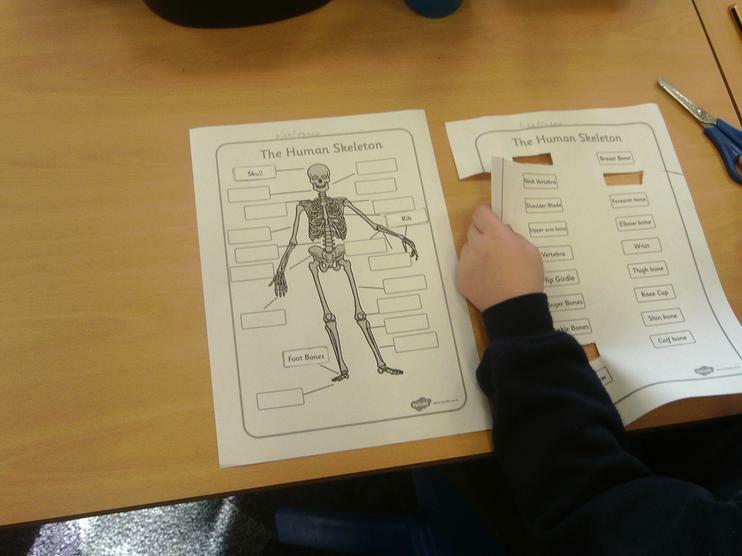 Mrs Carlile's favourite answer was "flat". 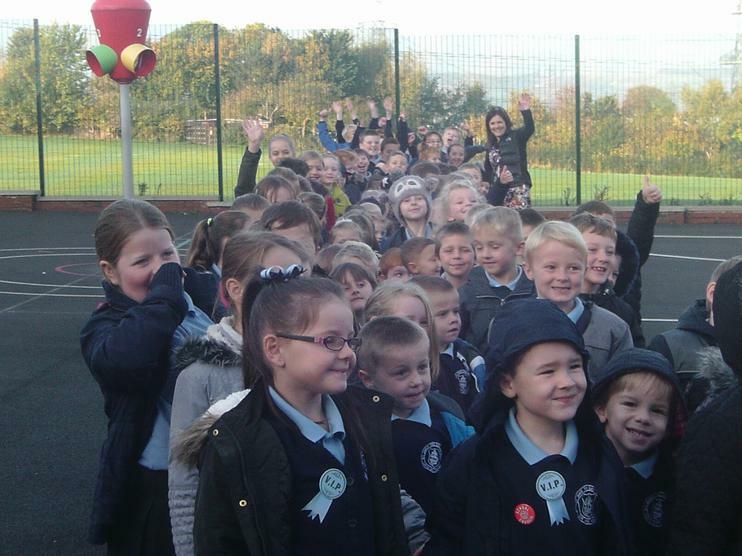 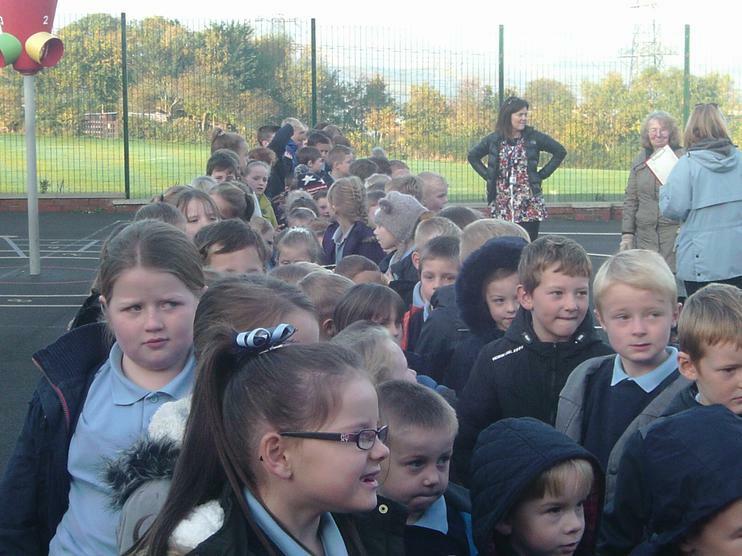 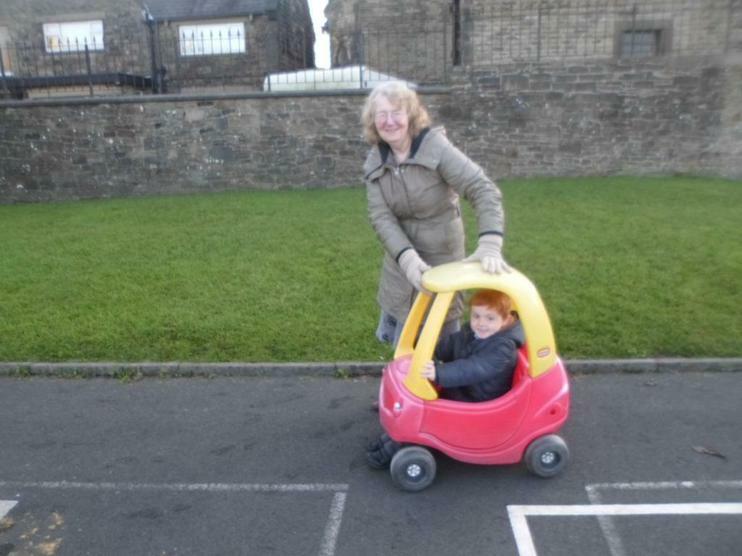 You might spot Mrs Carlile pointing at the board in some of these pictures! 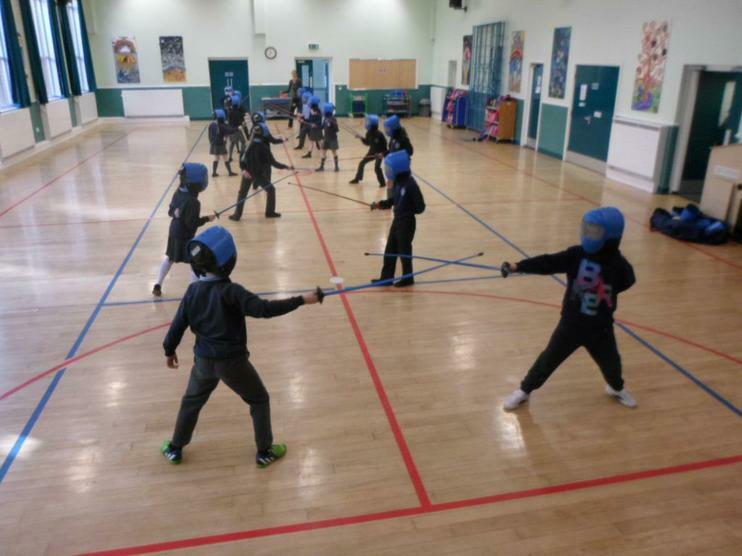 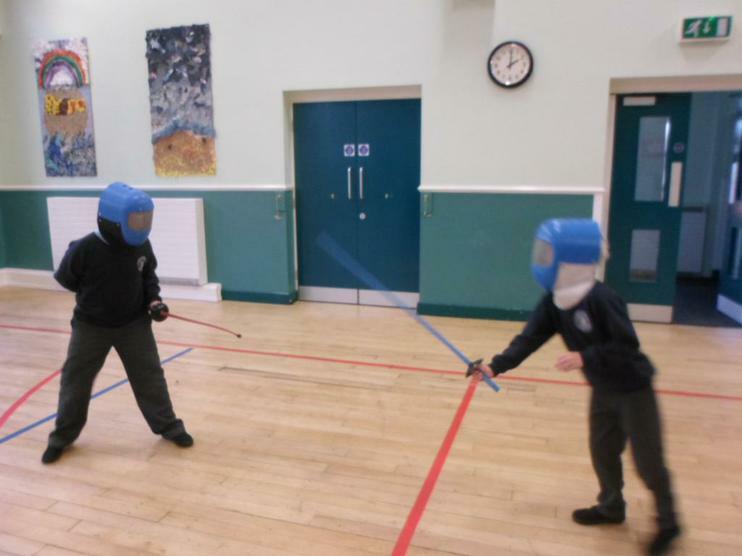 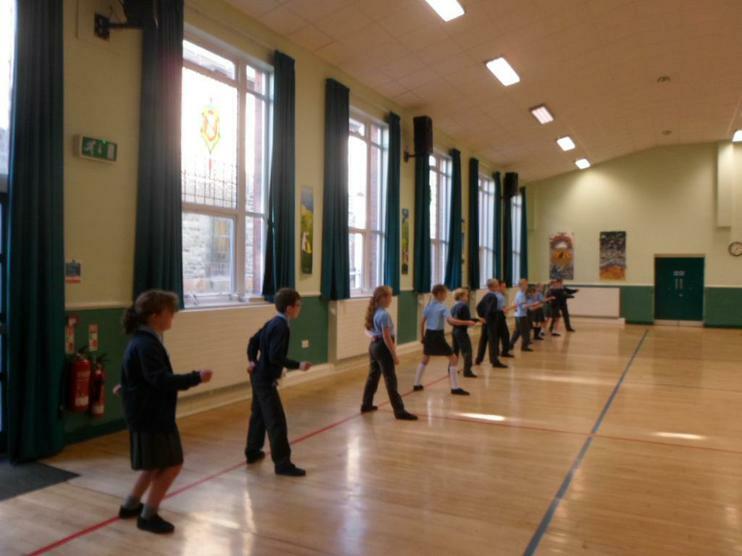 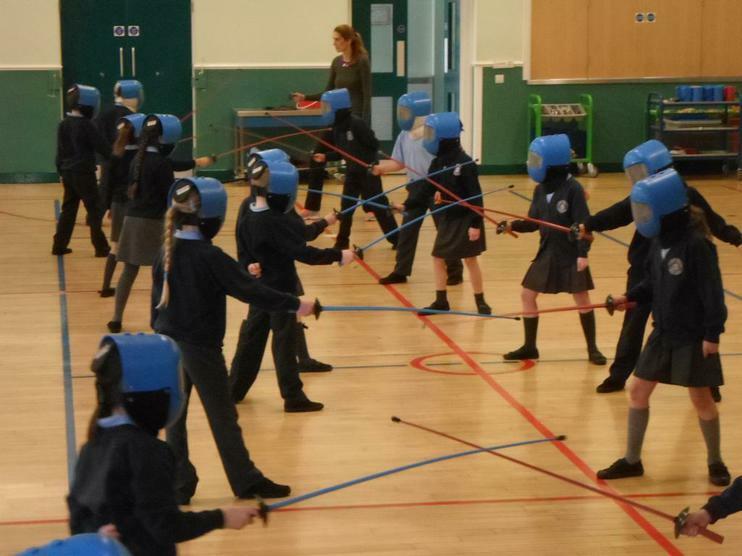 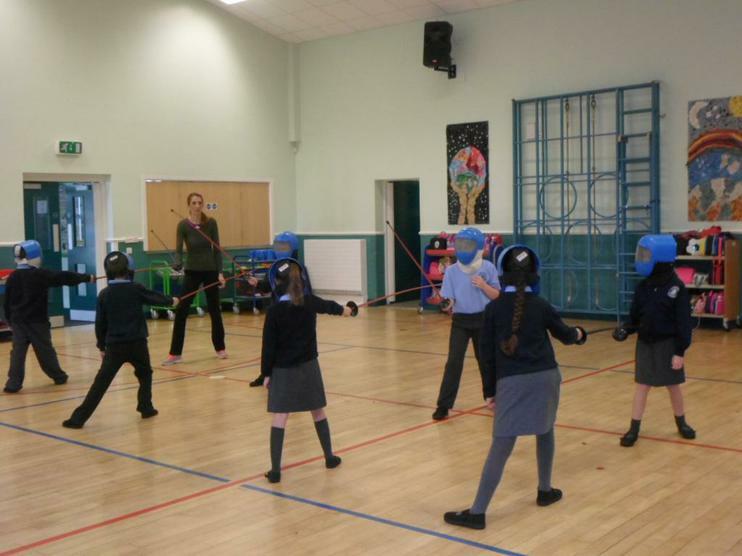 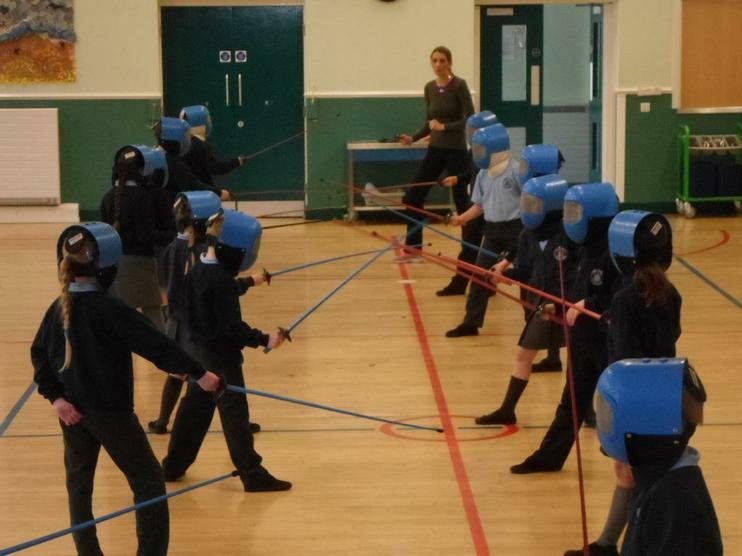 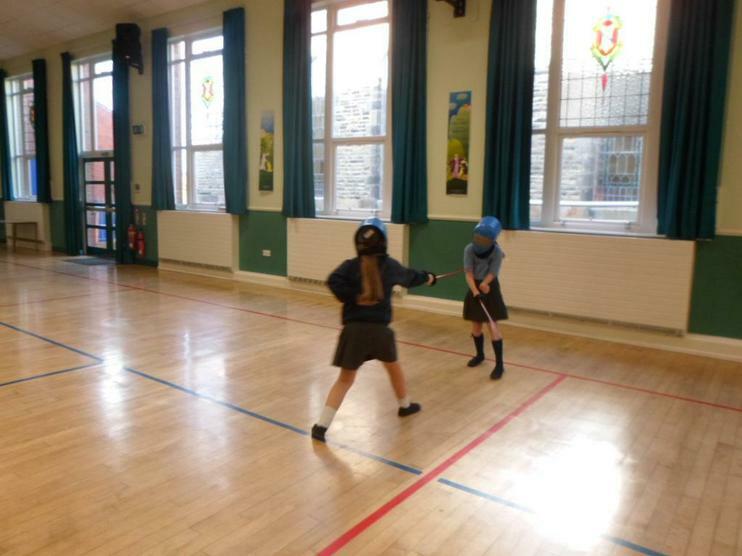 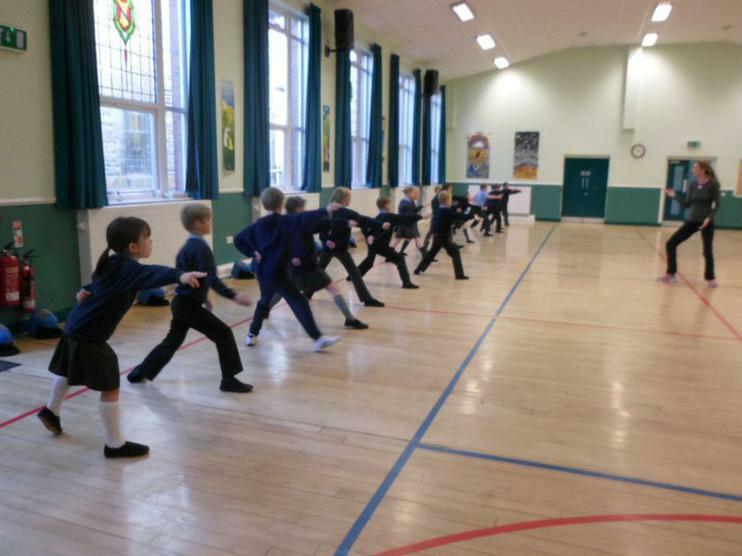 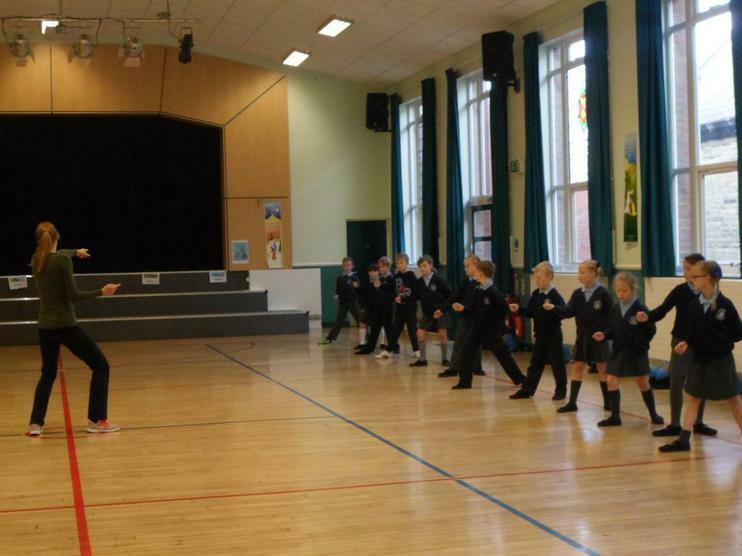 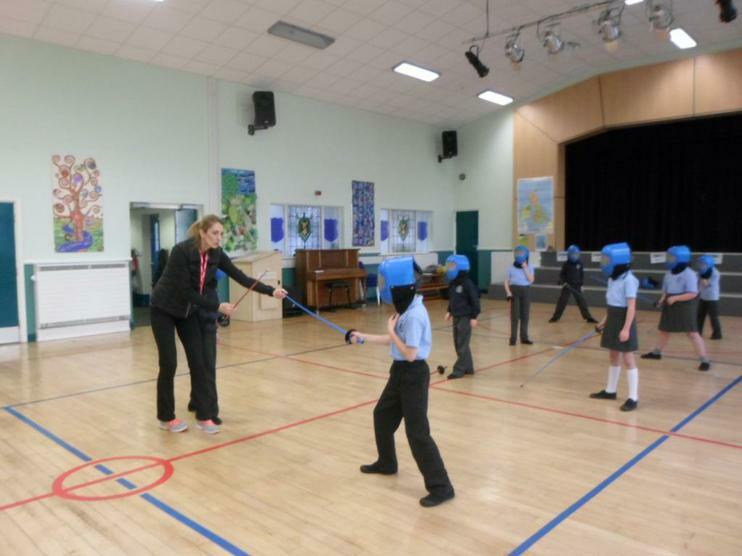 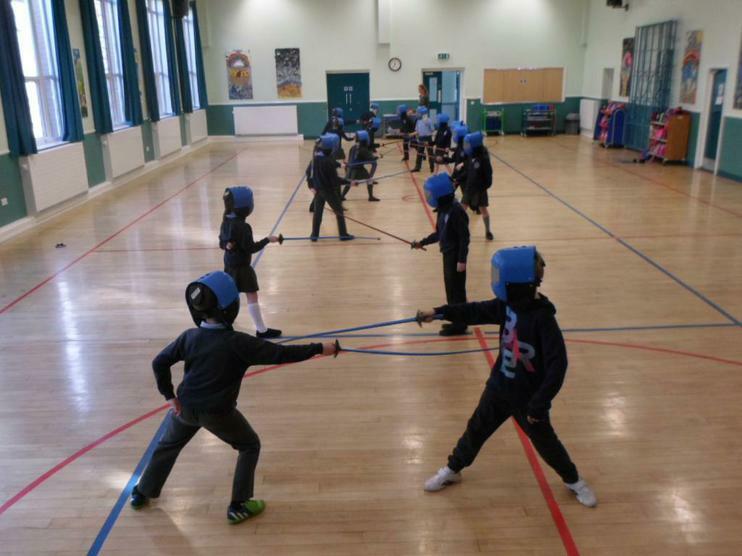 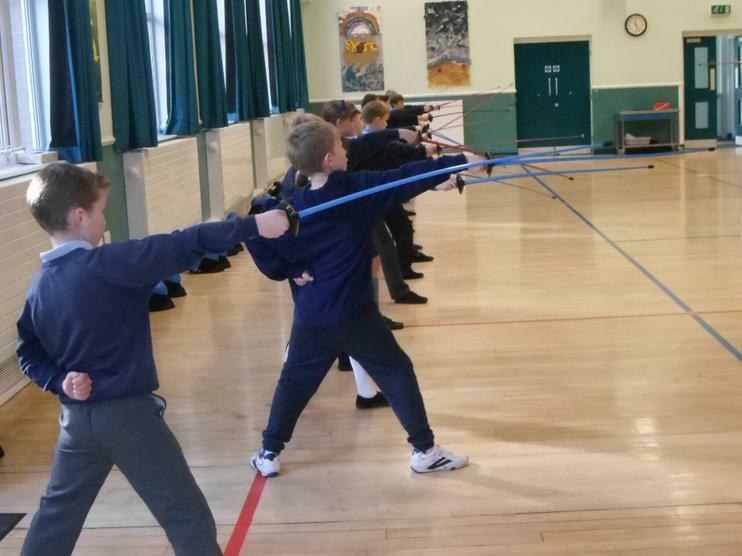 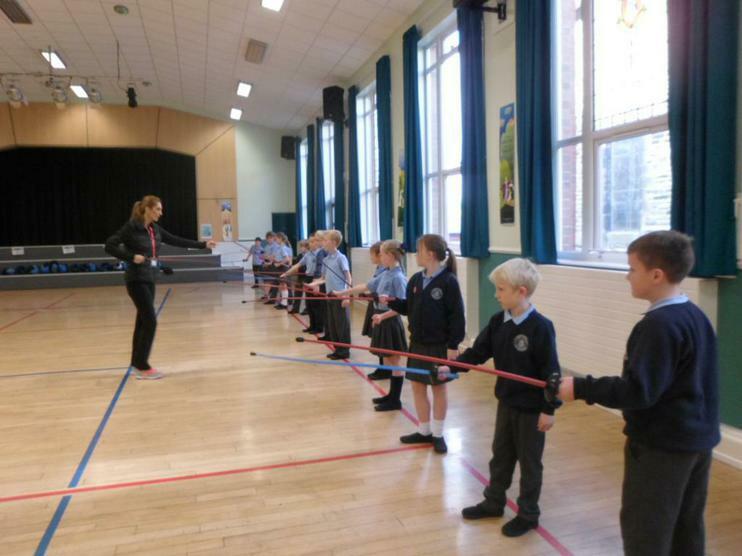 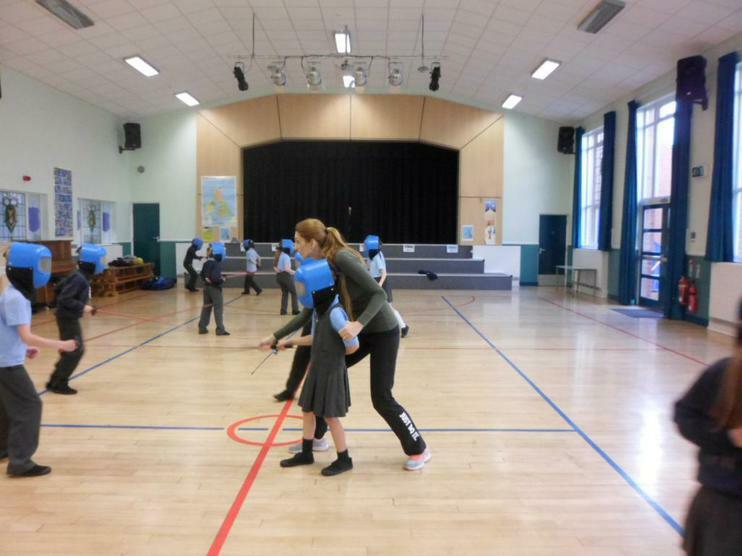 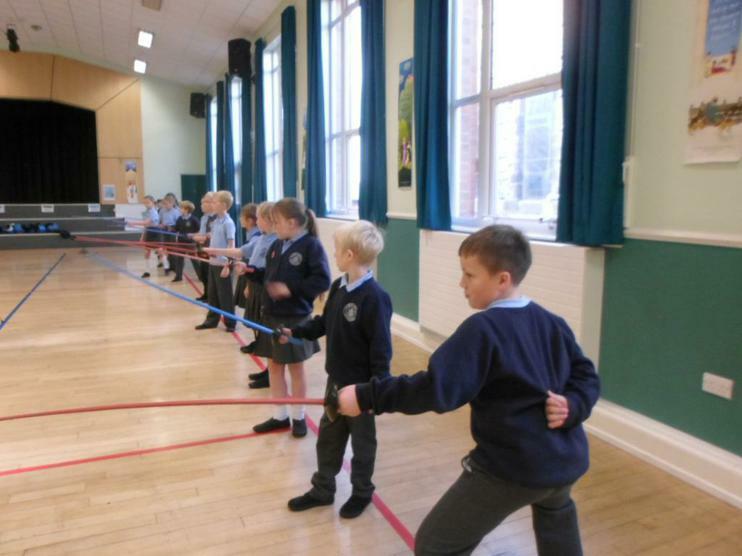 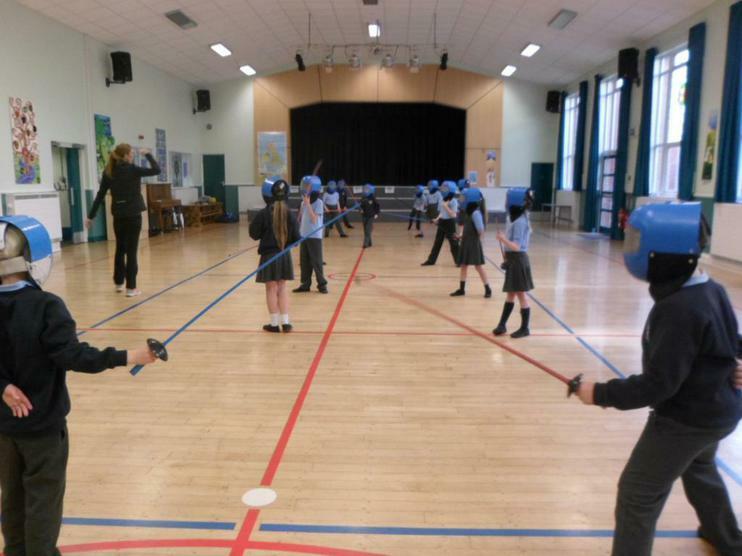 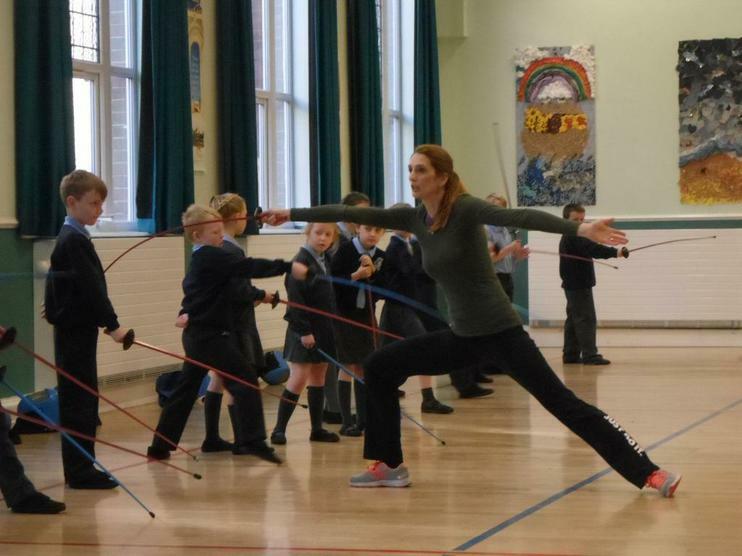 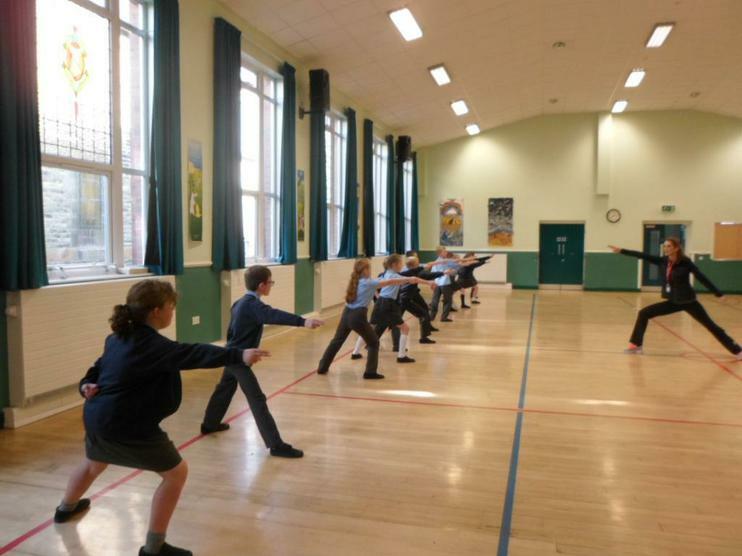 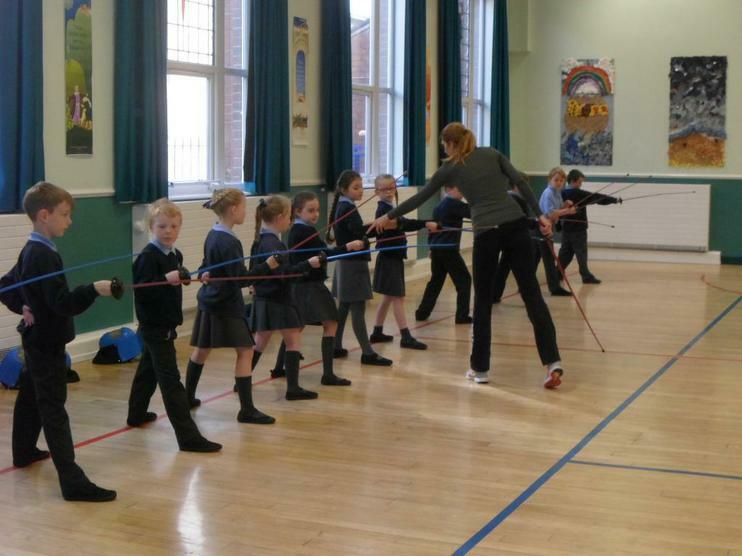 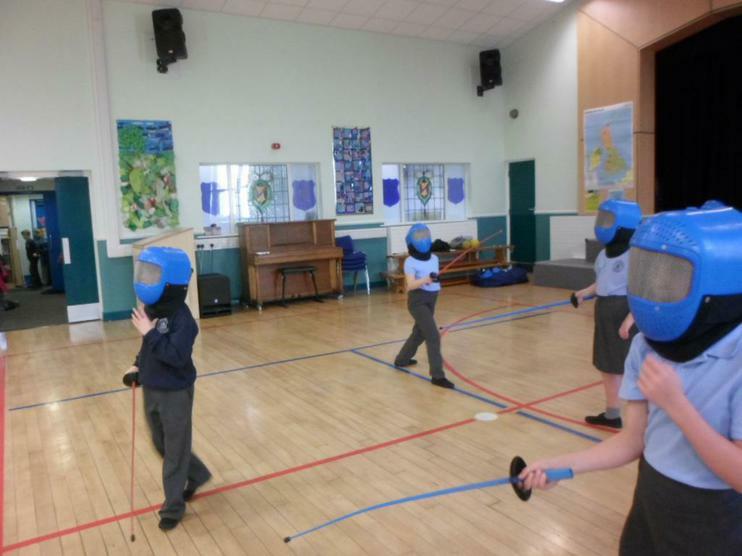 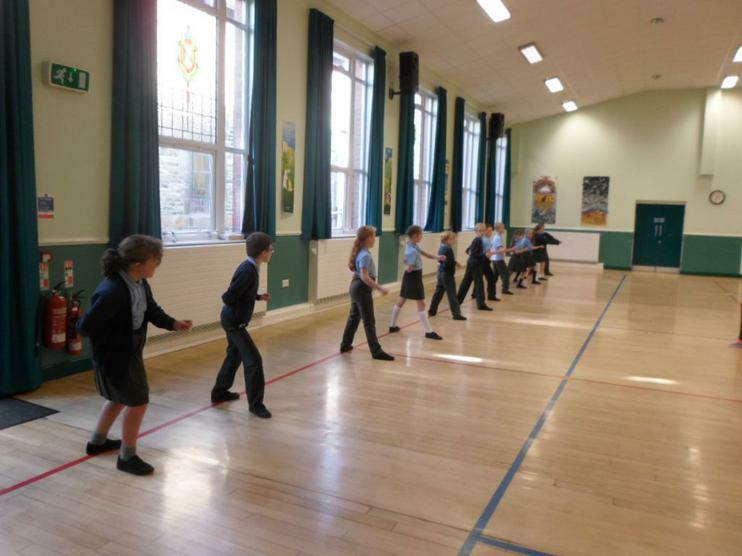 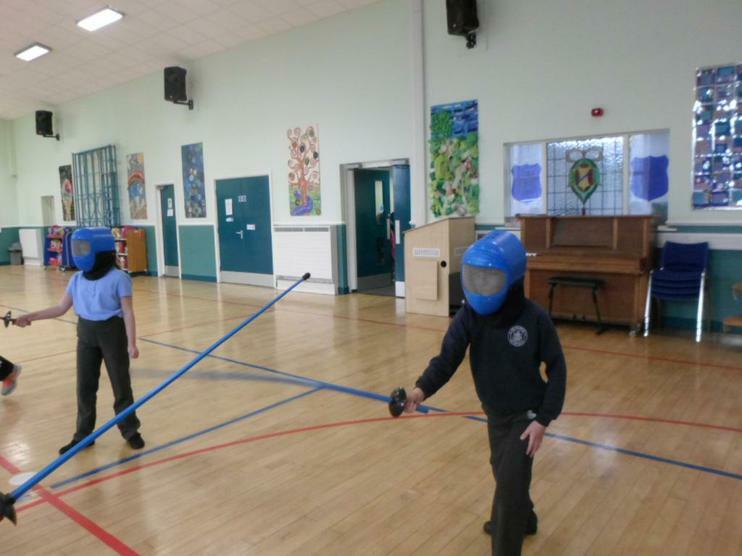 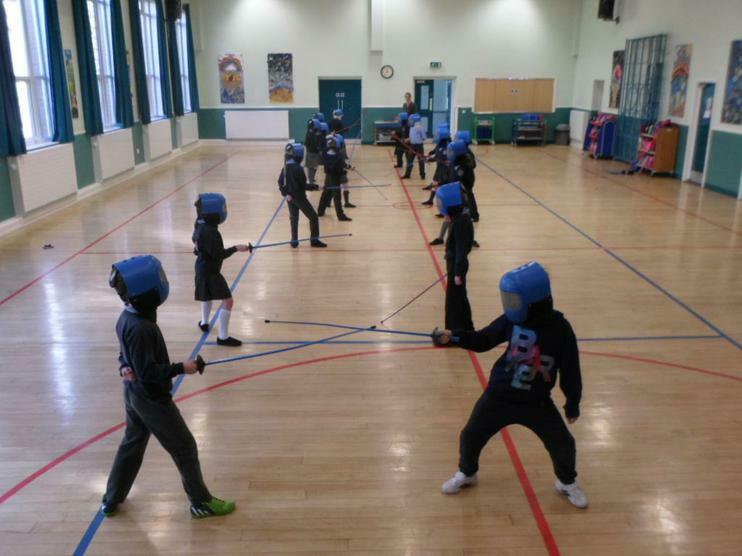 Year 4 enjoyed a fun-filled afternoon learning how to fence! 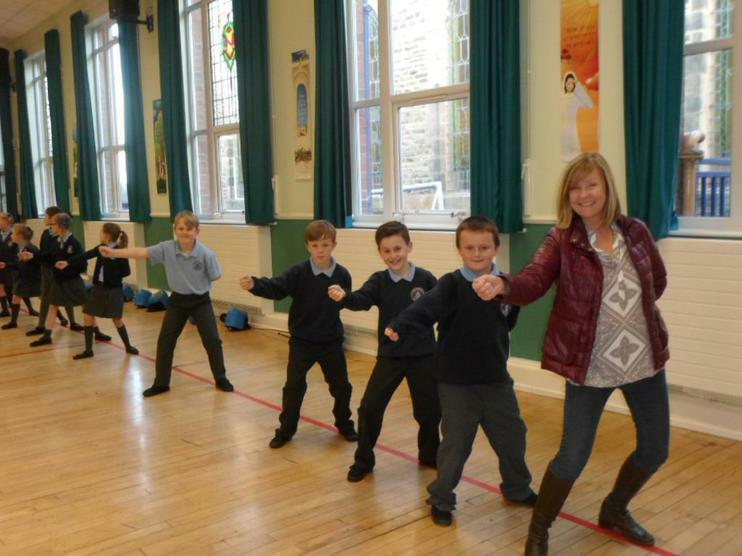 Their new found skills certainly impressed their teachers! 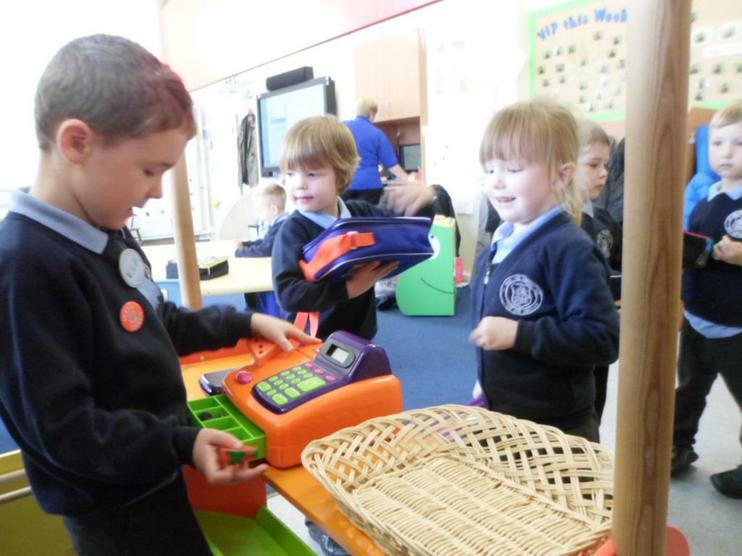 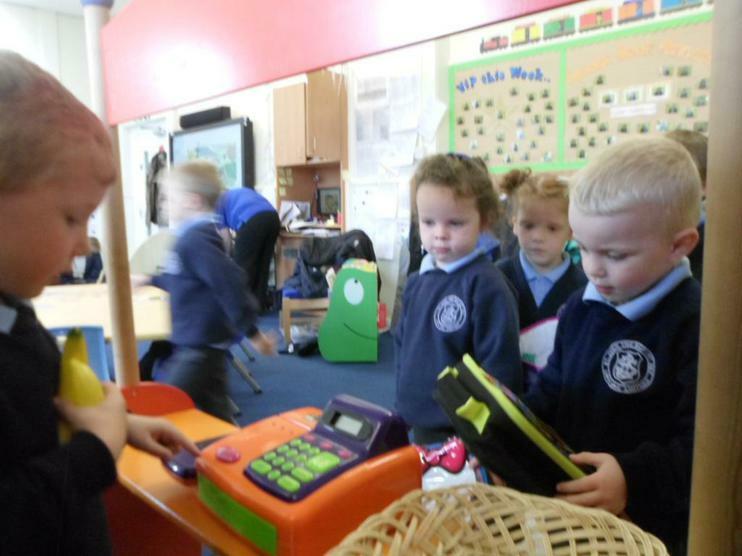 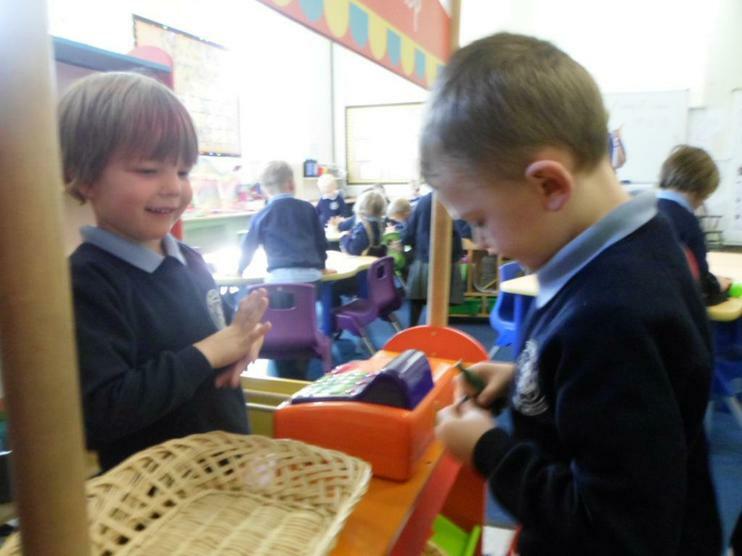 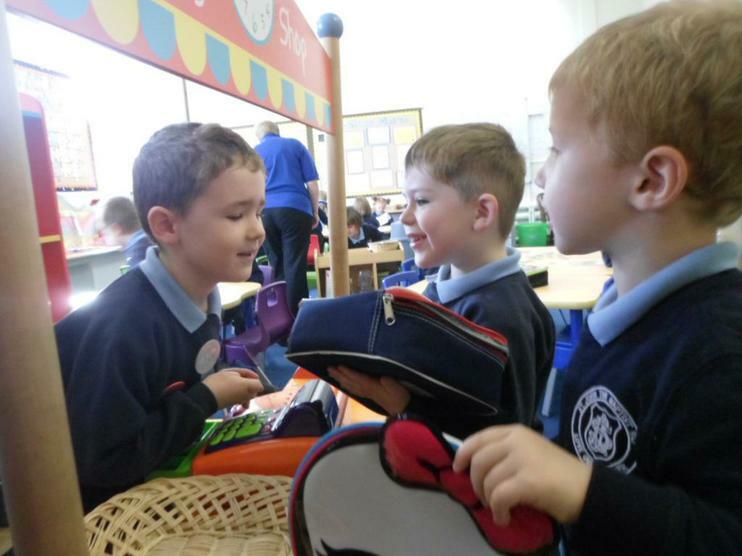 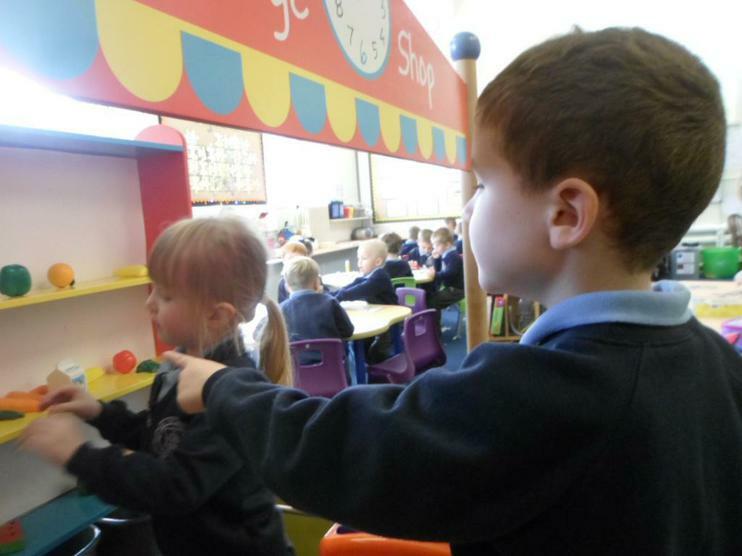 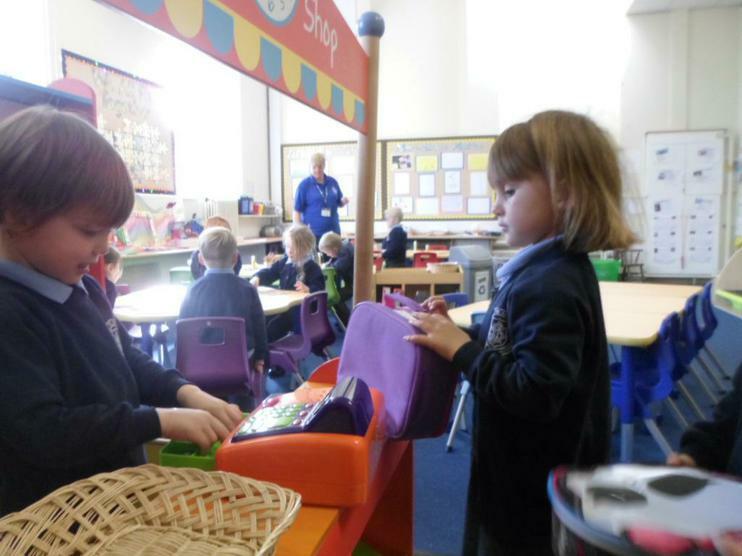 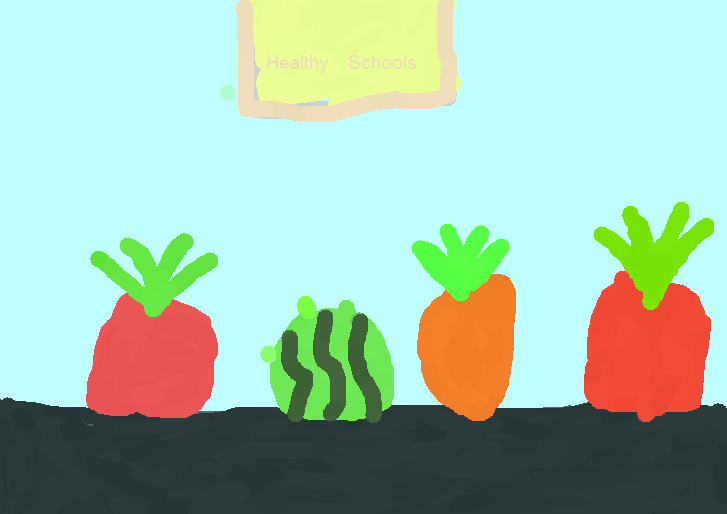 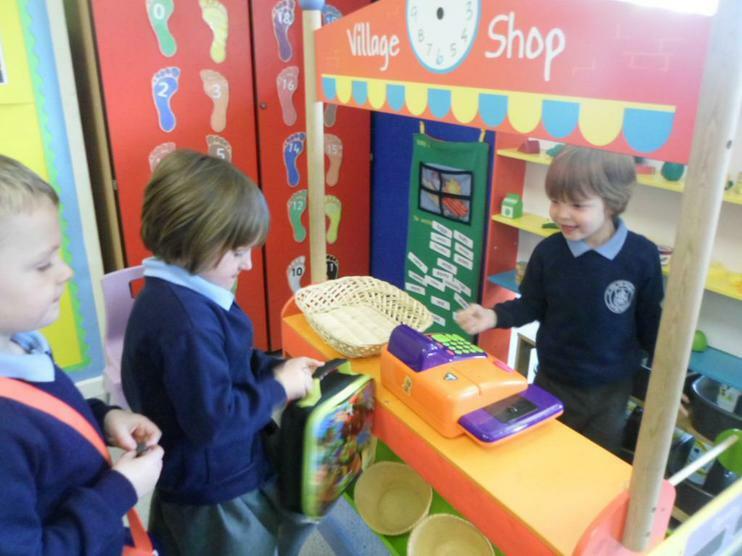 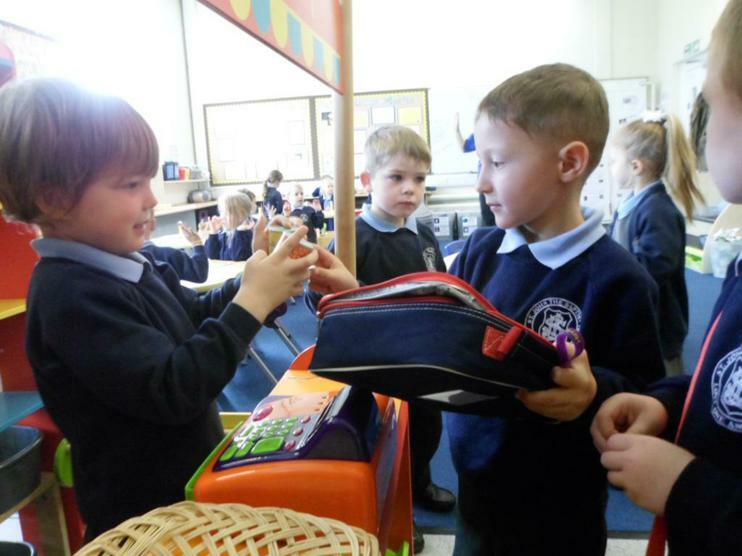 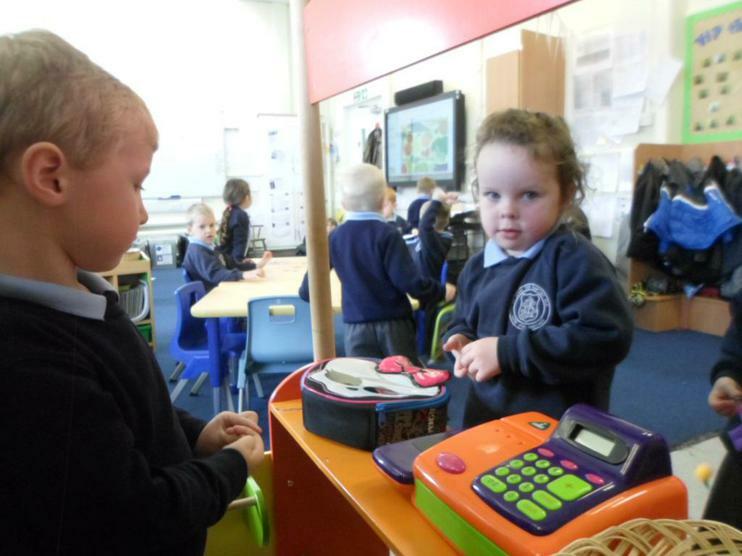 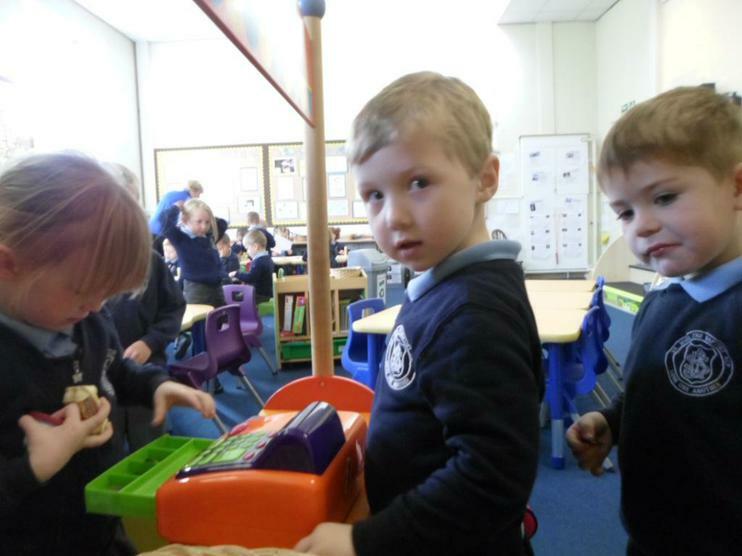 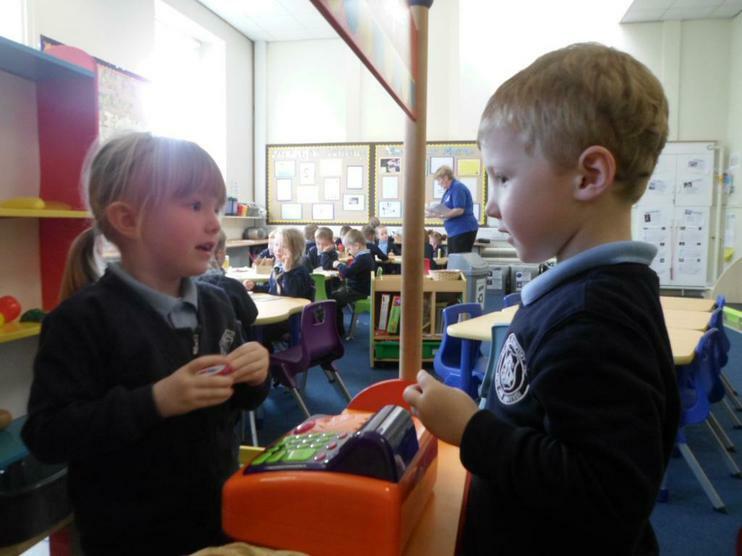 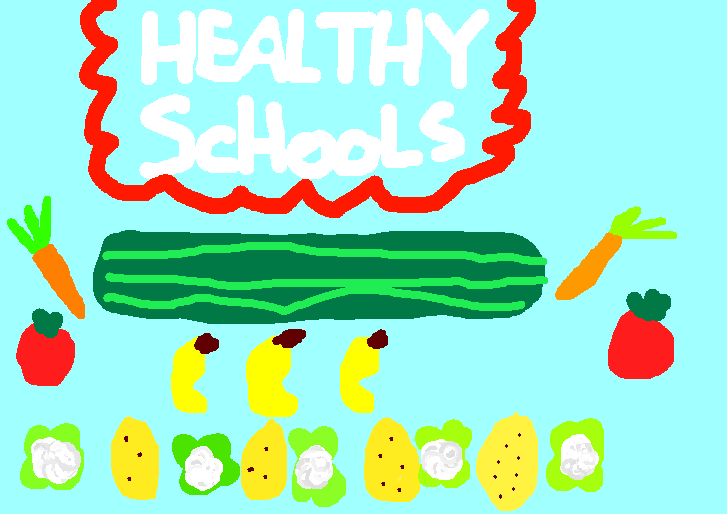 Reception enjoyed buying healthy foods in the village shop.